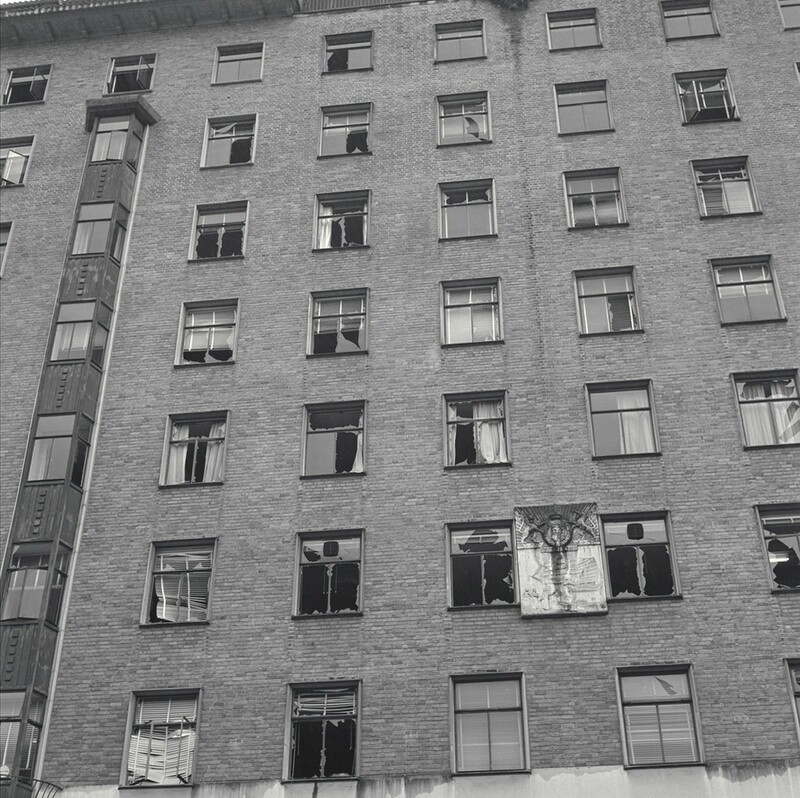 More than 250 people attended a memorial service in front of MacDonald House Monday, the 49th anniversary of the bombing there. 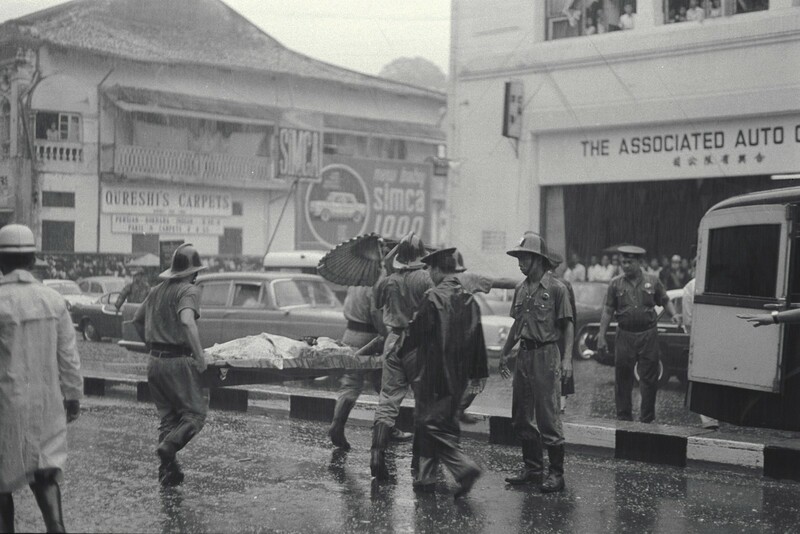 The service was organised by the Singapore Armed Forces Veterans' League to remember the events during Konfrontasi, an offensive by Indonesia, and honour those who suffered and lost their lives, including the soldiers who fought and fell. 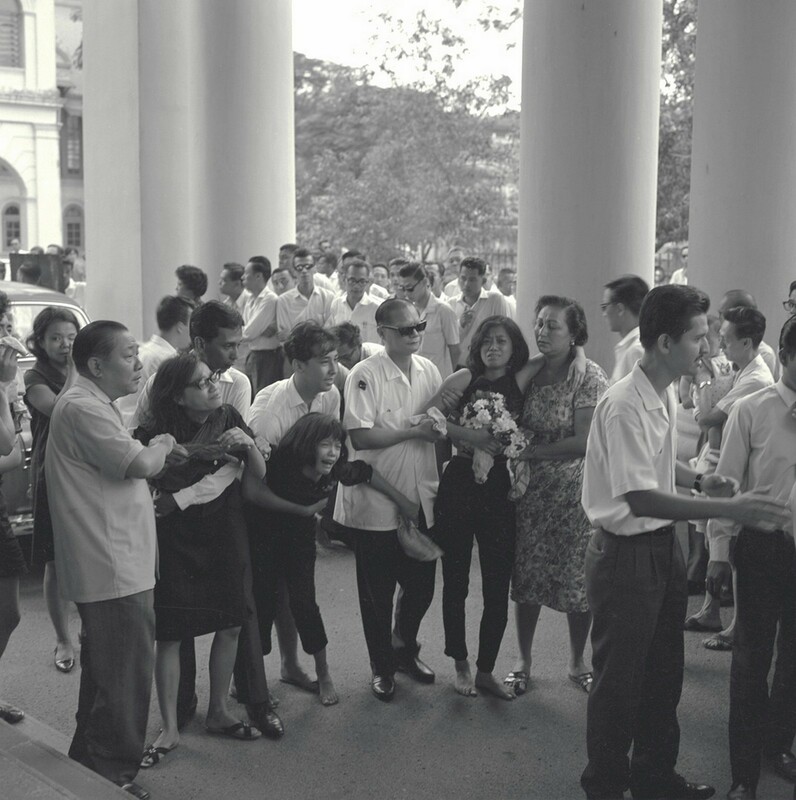 Acting Minister for Culture, Community and Youth Lawrence Wong was among those who attended. 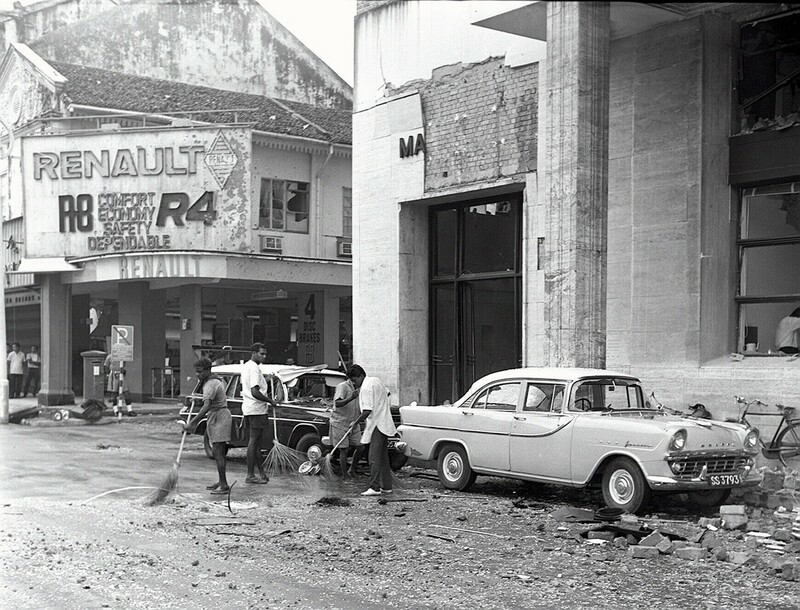 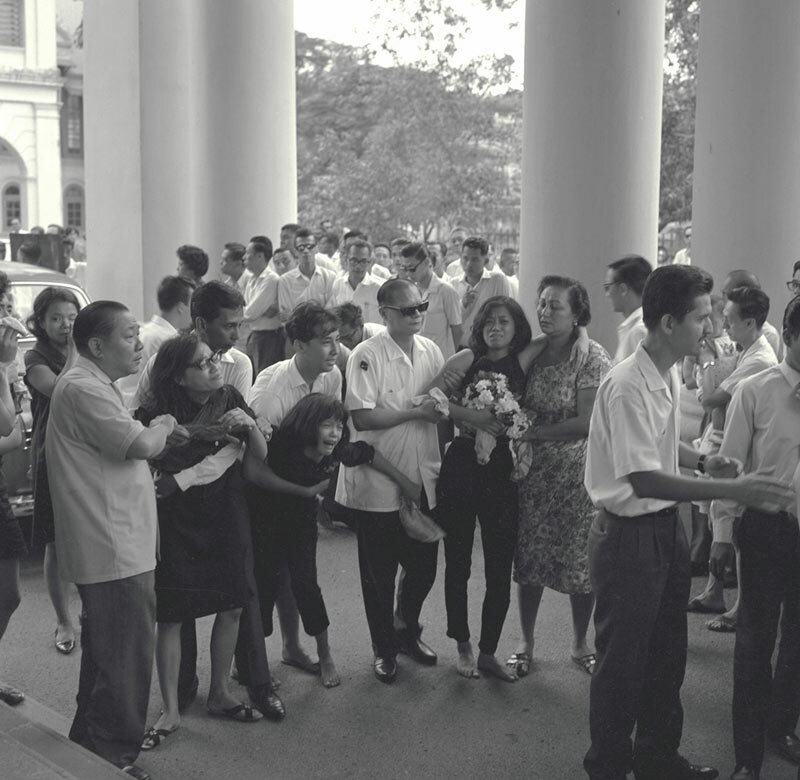 Survivors of the MacDonald House bombing and the families of those who lost their lives, as well as veteran soldiers who were deployed during Konfrontasi, were also at the memorial service. 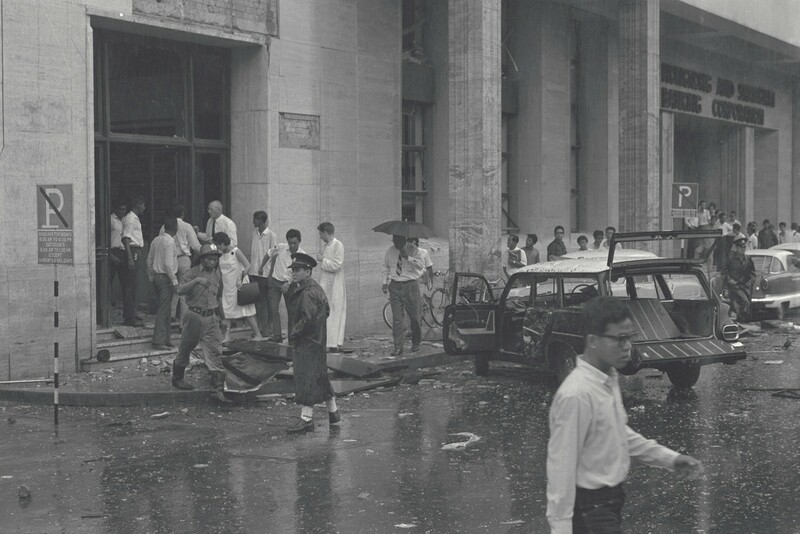 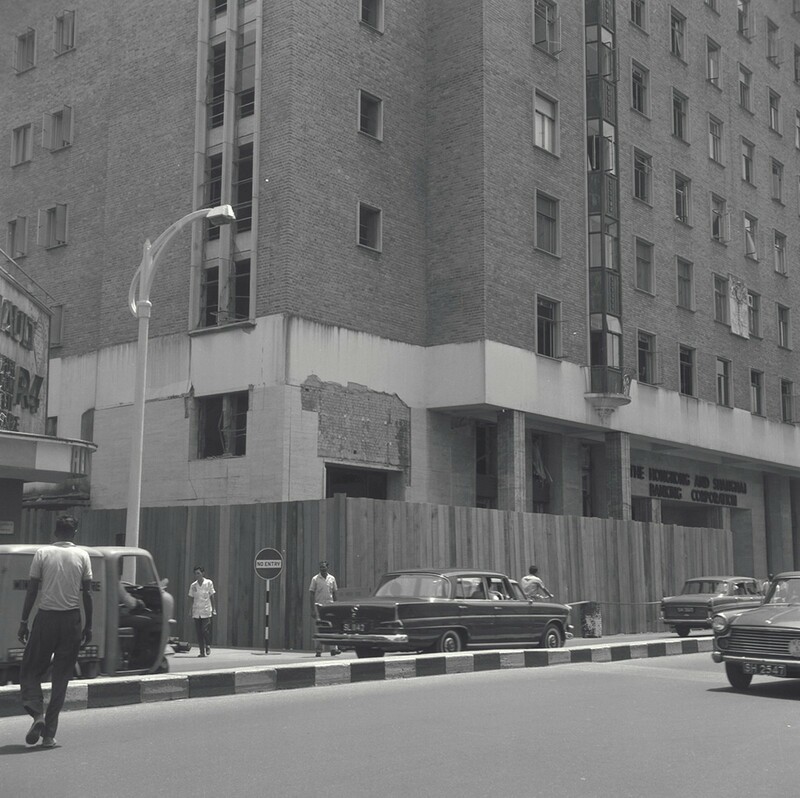 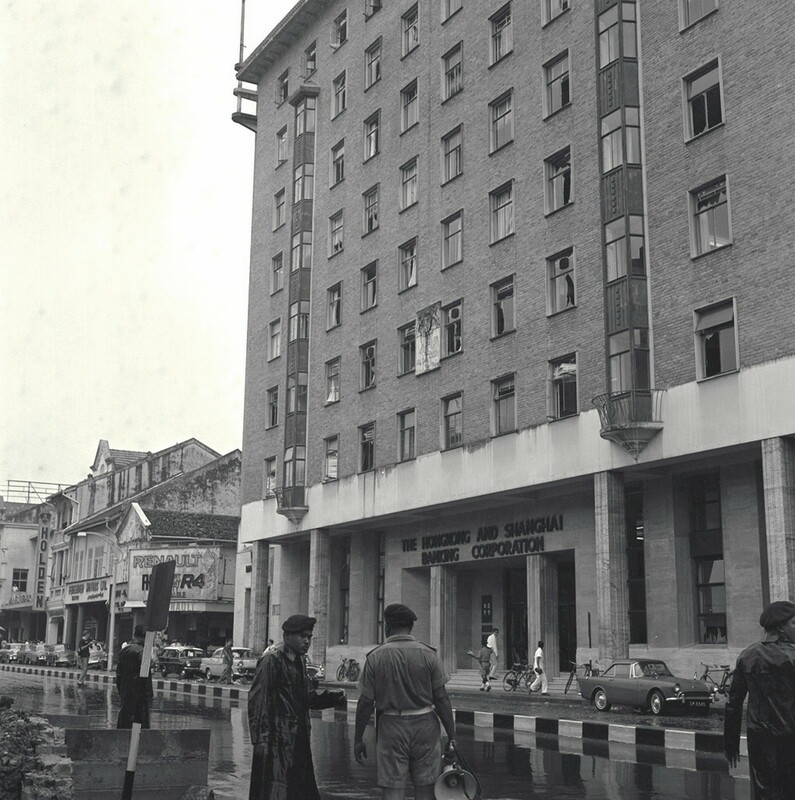 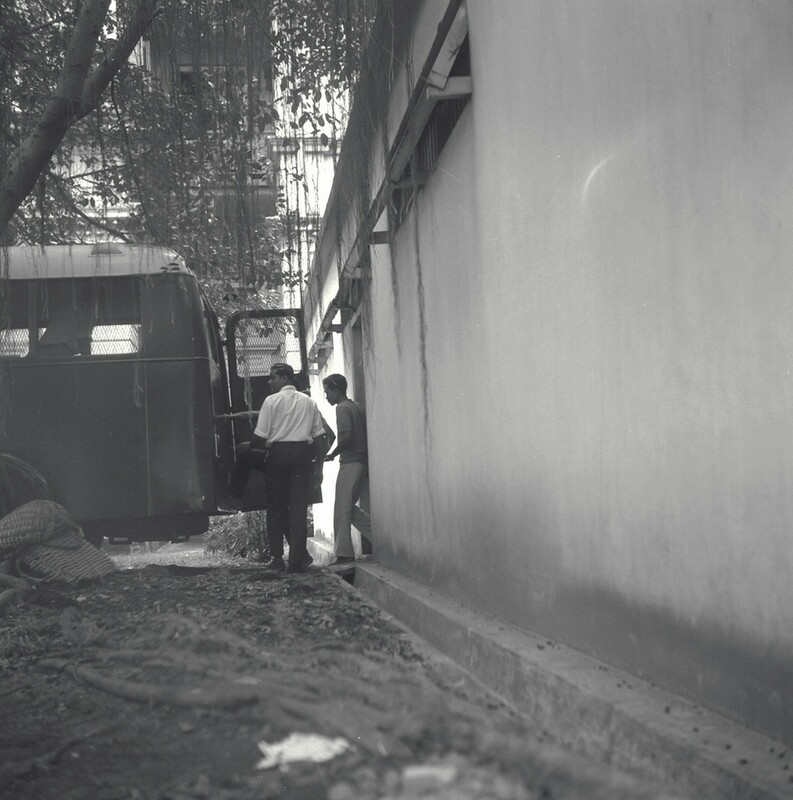 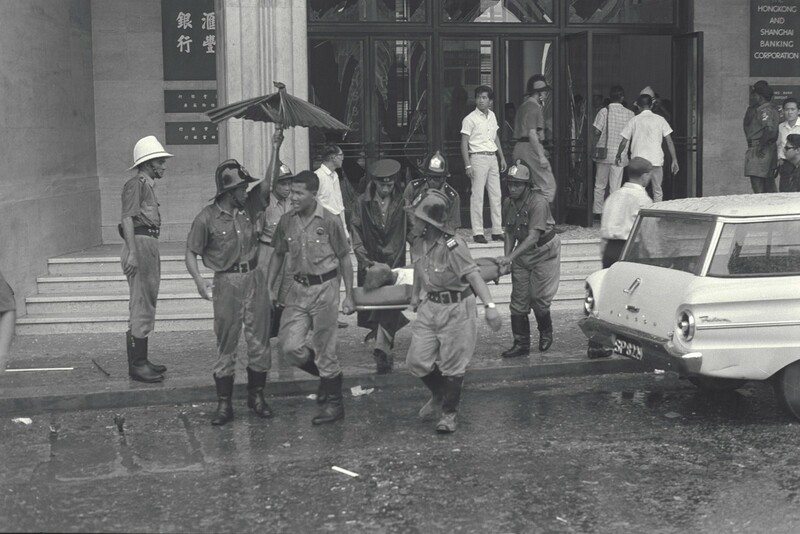 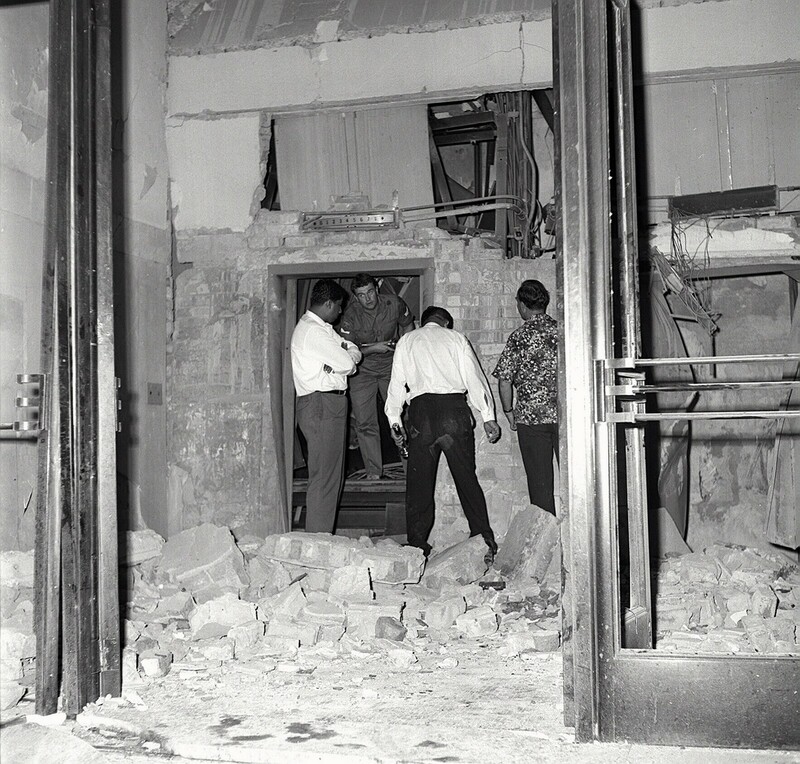 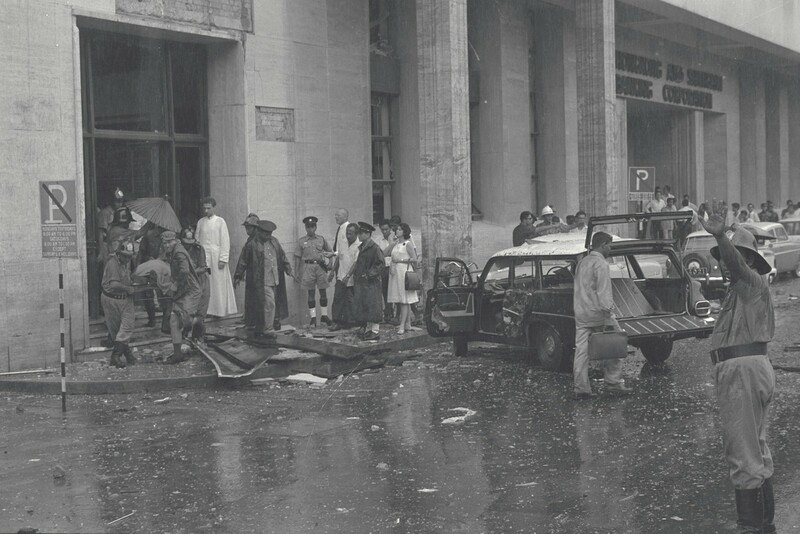 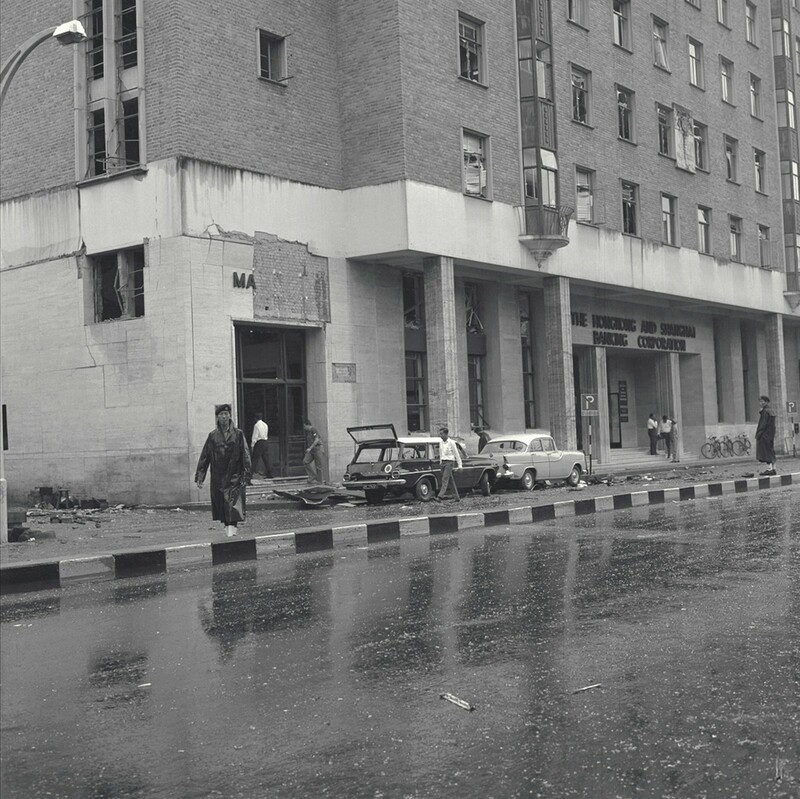 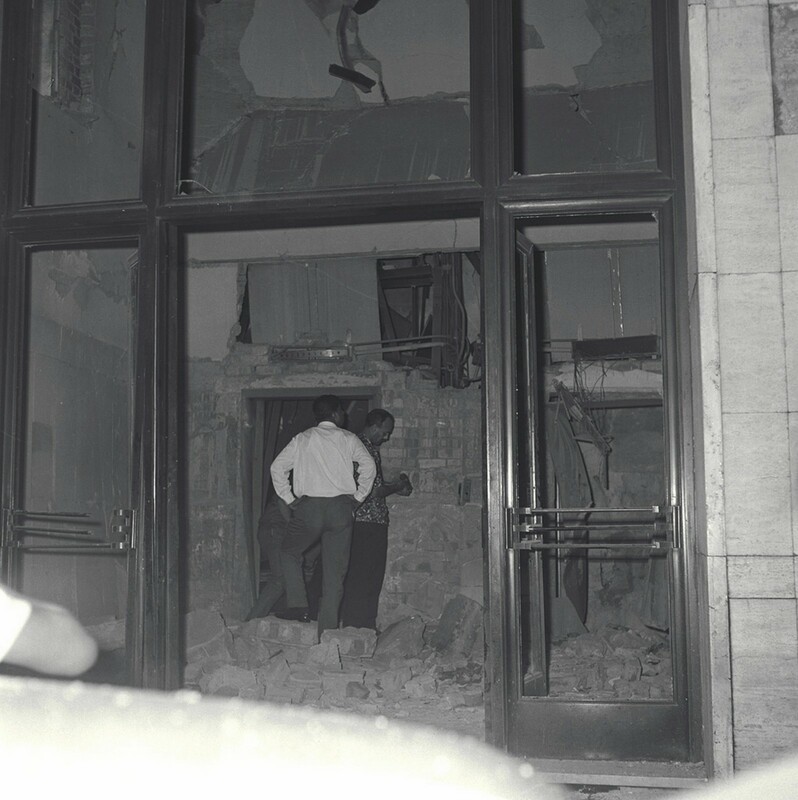 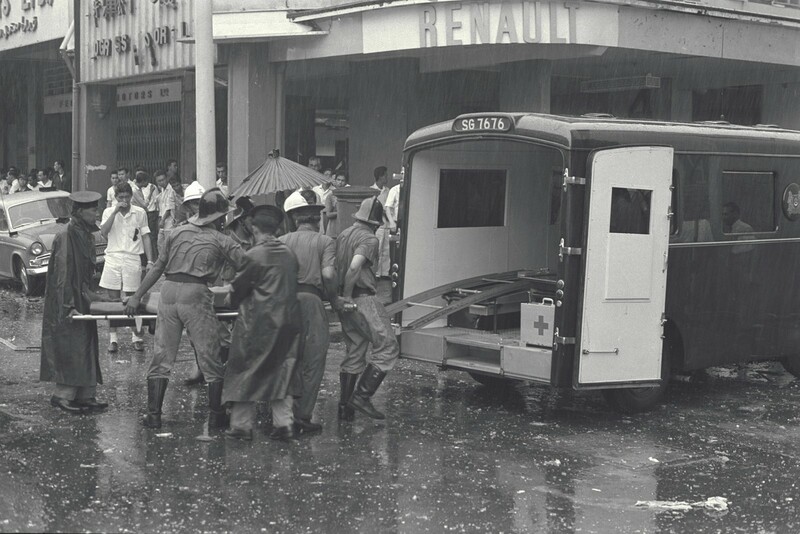 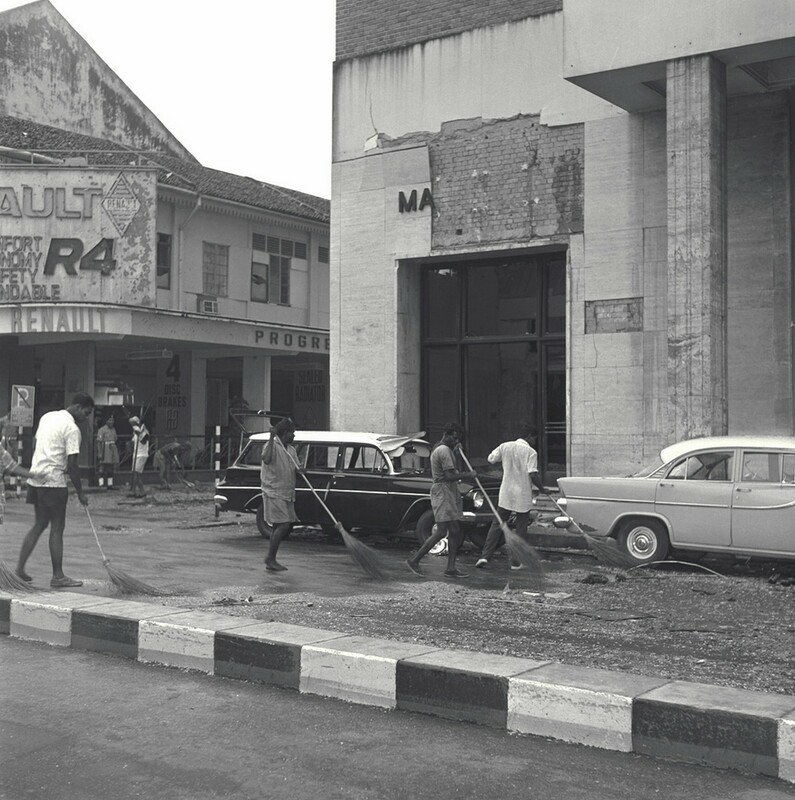 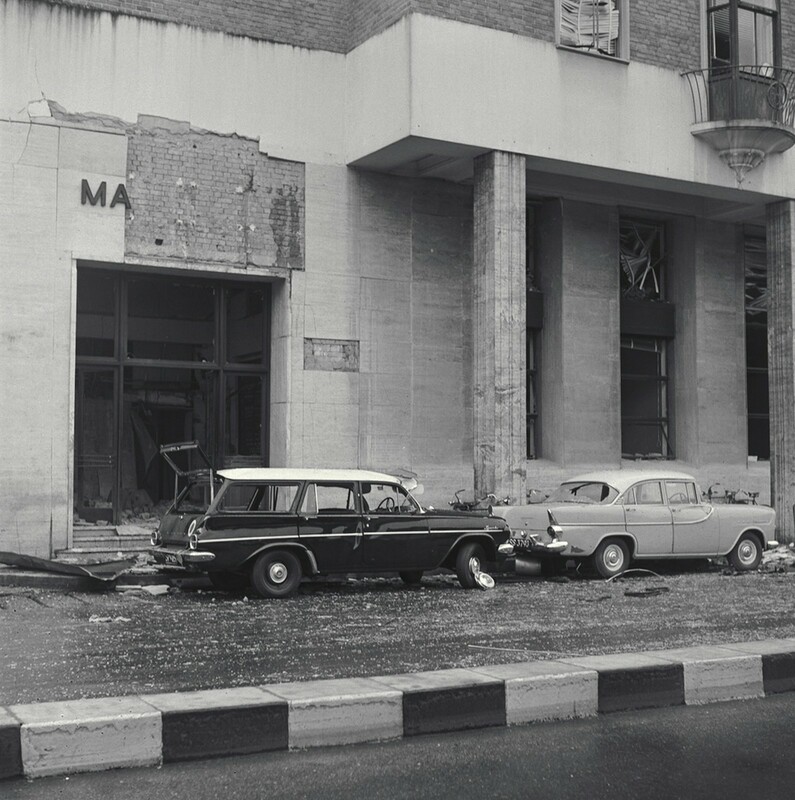 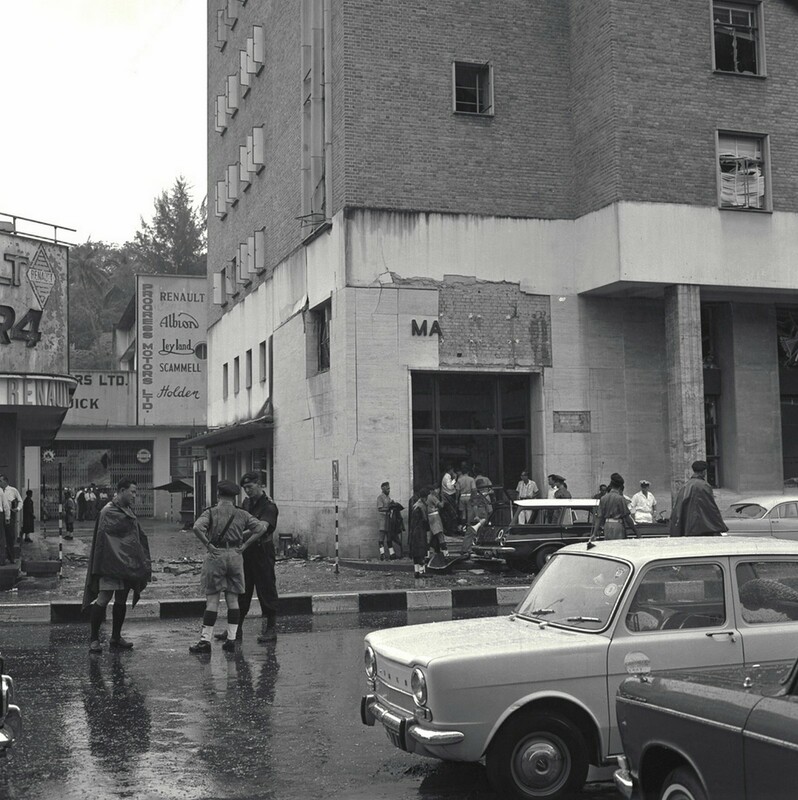 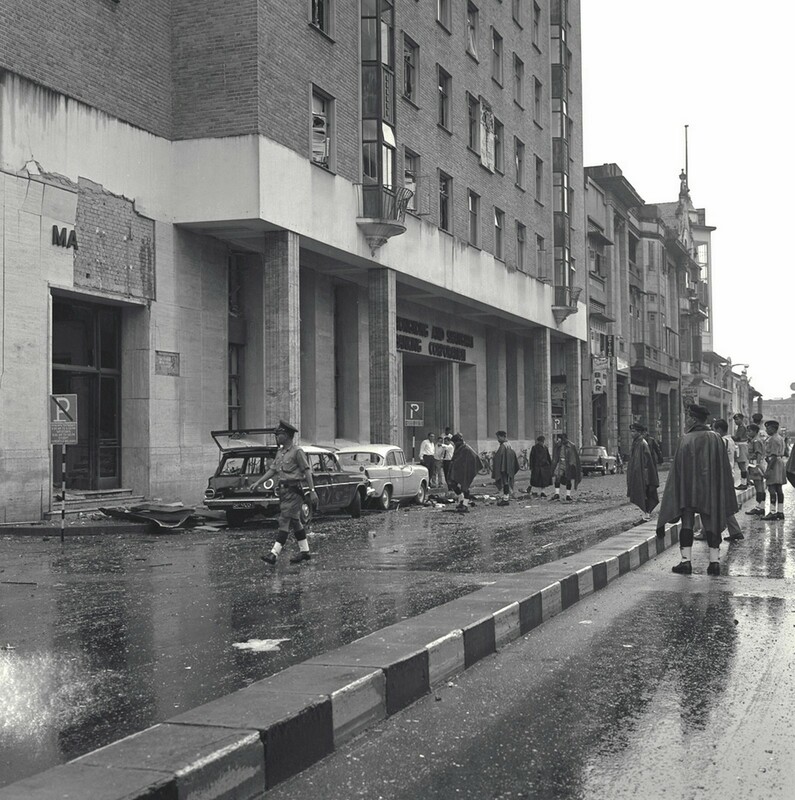 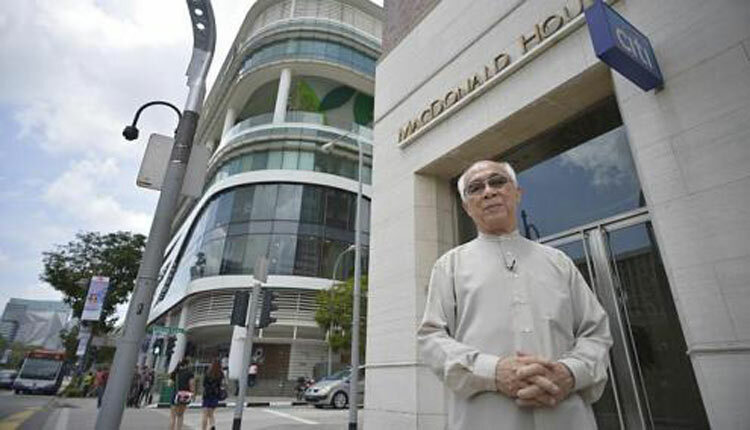 A bomb exploded when Mr Zainal Kassim, an office assistant with the Australian High Commission, was taking the lift on the third floor of MacDonald House. 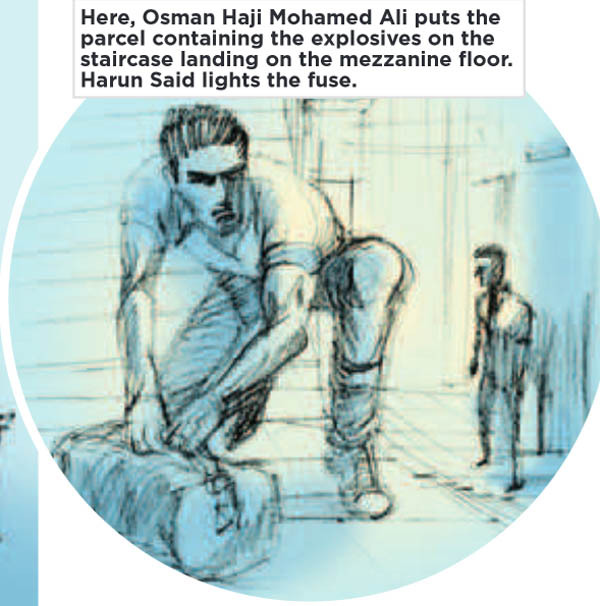 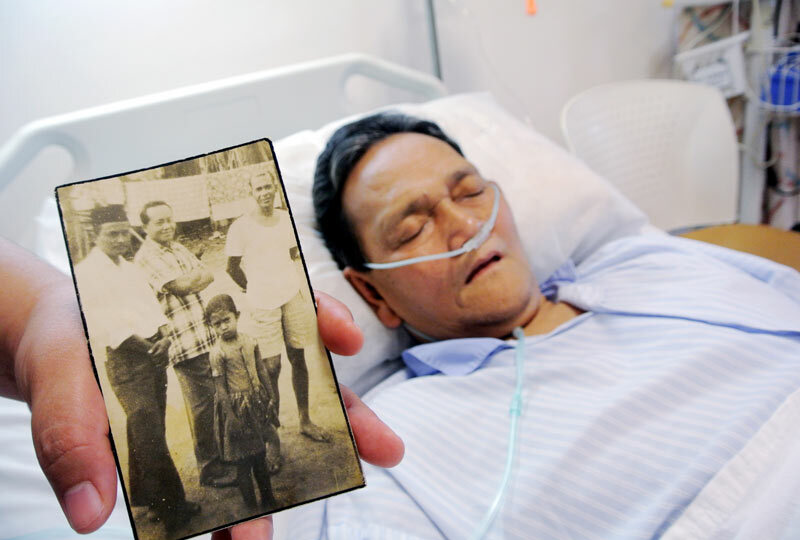 When Mr Zainal Kassim regained consciousness, he found himself in darkness, buried under the rubble at the bottom of the lift shaft. 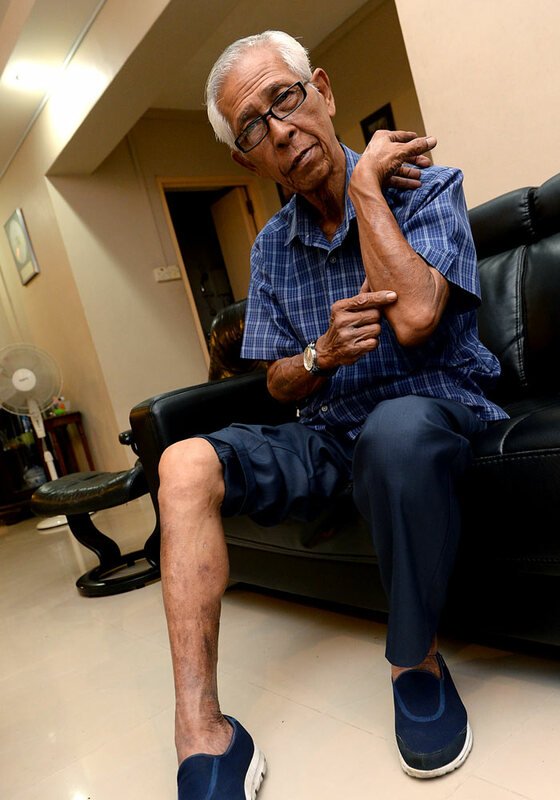 Mr Zainal Kassim said he was swollen and bleeding all over, and had to be bandaged from head to toe. 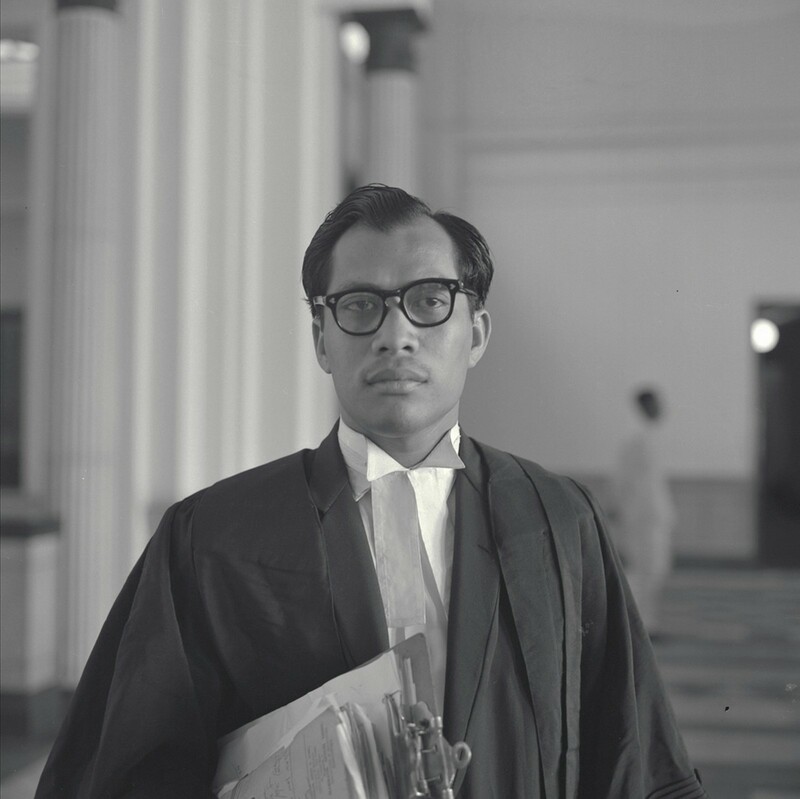 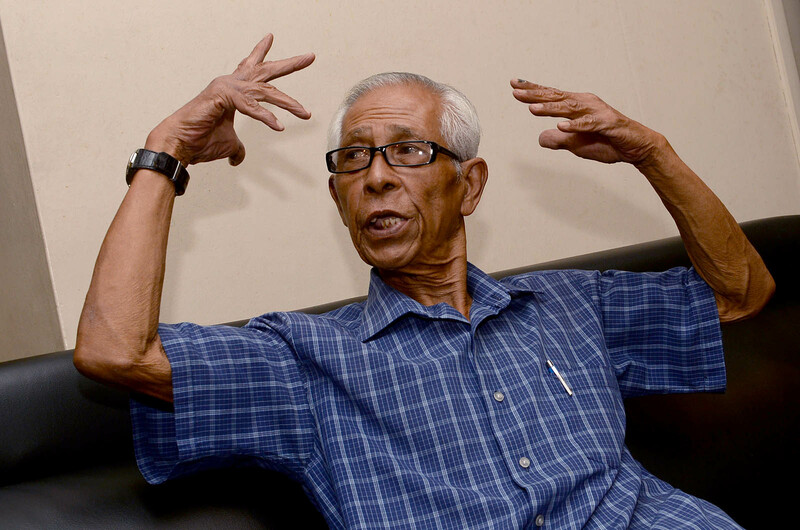 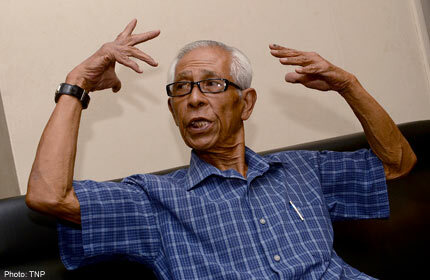 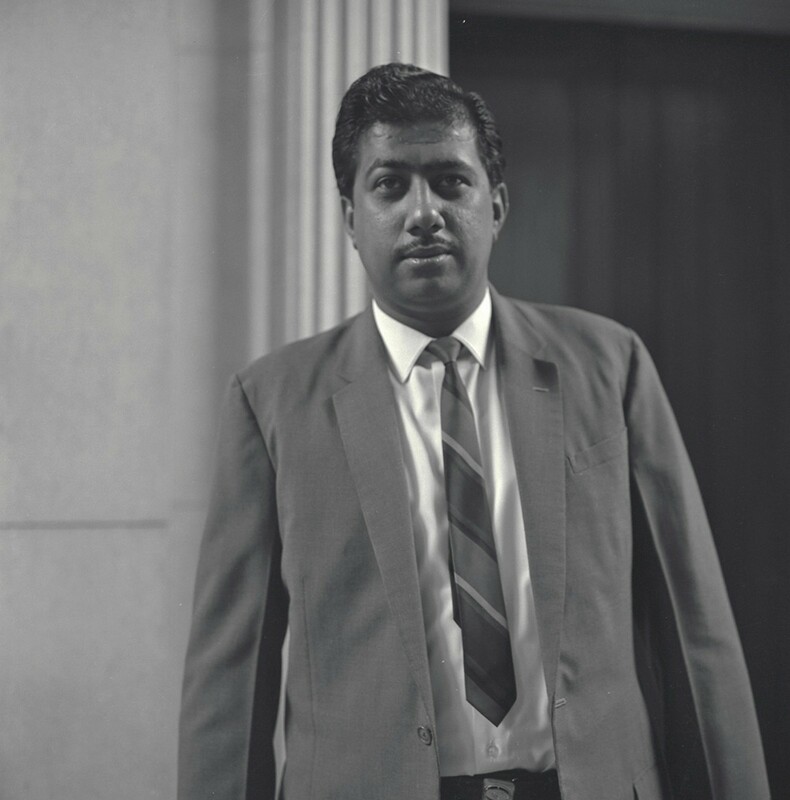 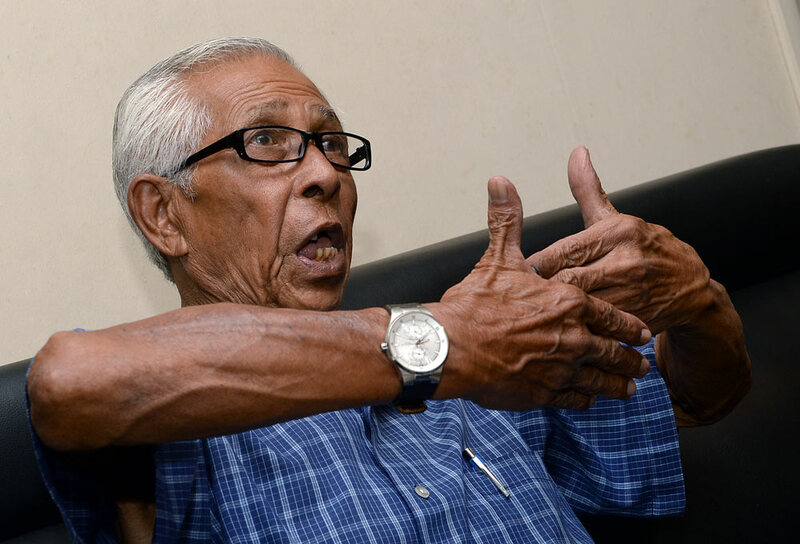 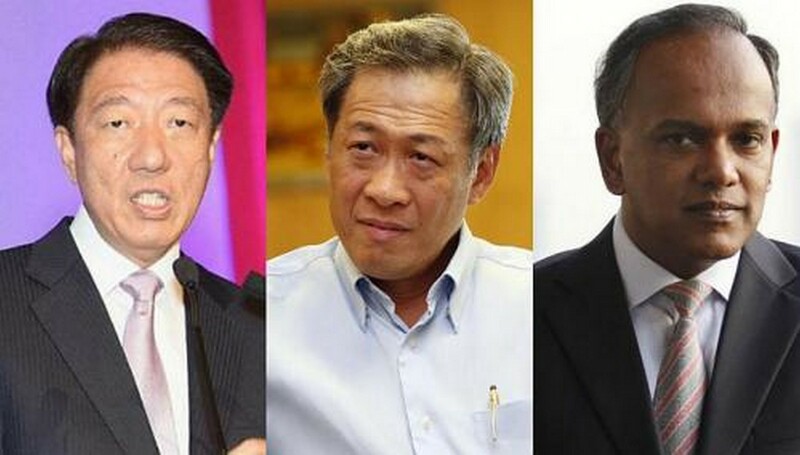 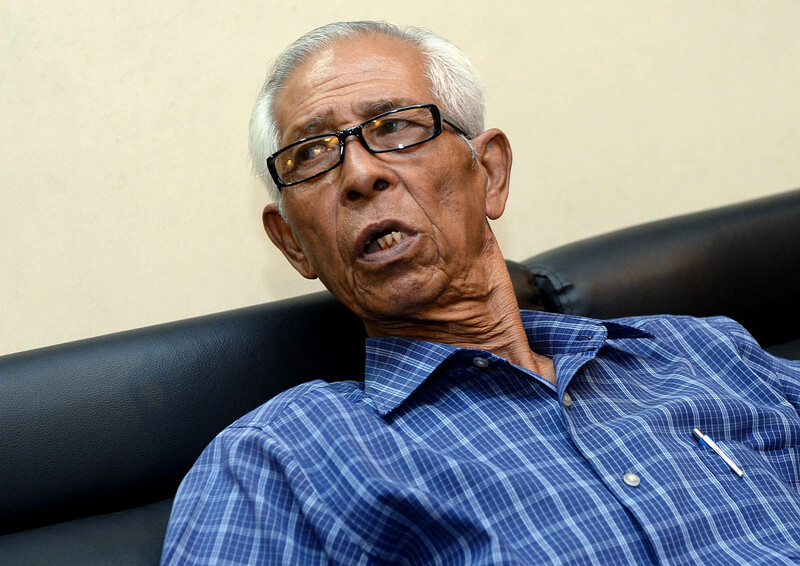 Mr Zainal Kassim recalled that his head swelled to double its size, "like a watermelon". 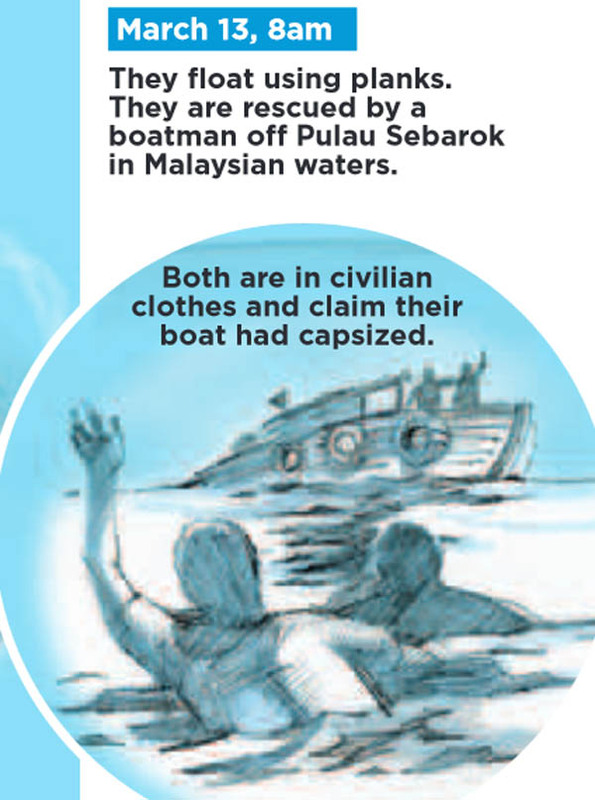 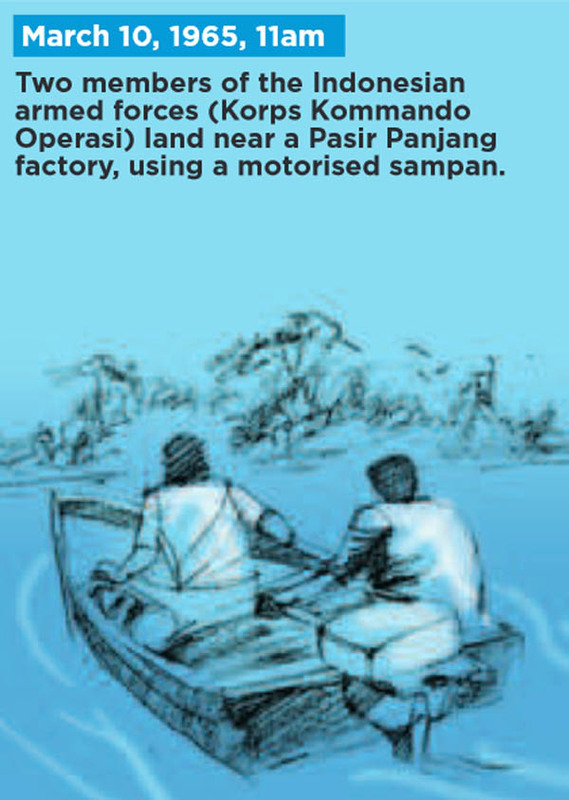 Mr Zainal Kassim was lucky to be rescued after he was buried under the rubble. 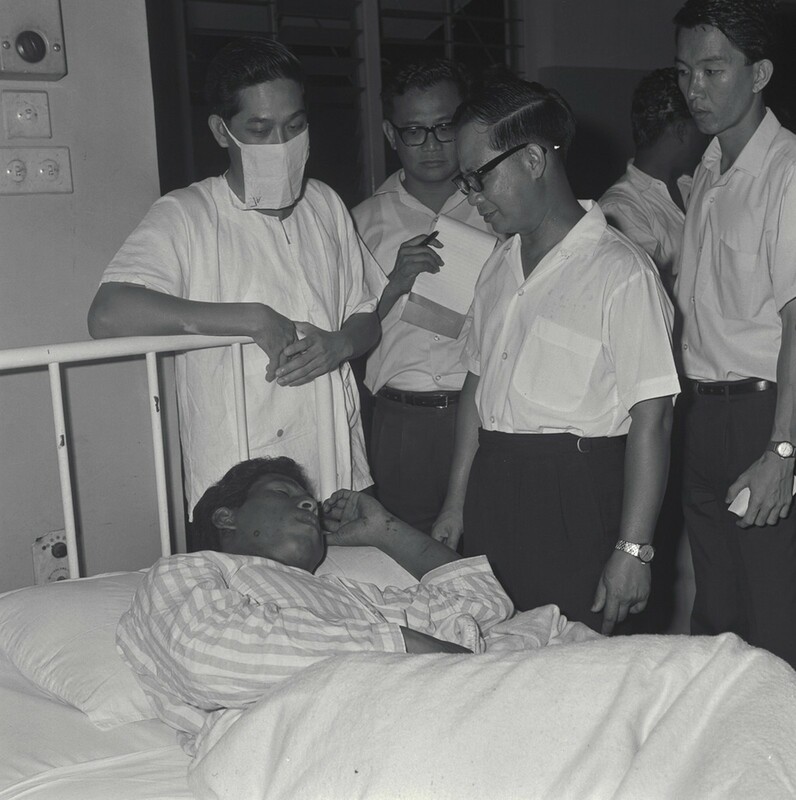 He was hospitalised for more than 10 days. 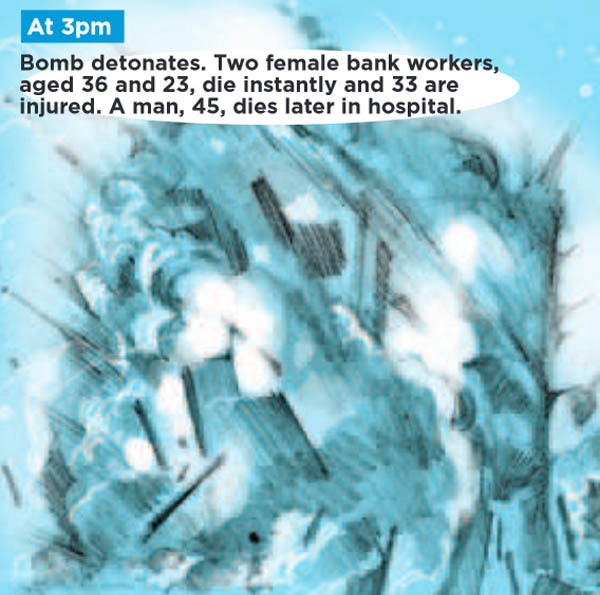 The bombers: Osman bin Haji Mohammed Ali, 22, and Harun bin Said alias Tahir, 26, both in handcuffs, were hanged after they were found guilty of "knowingly caused" three deaths. 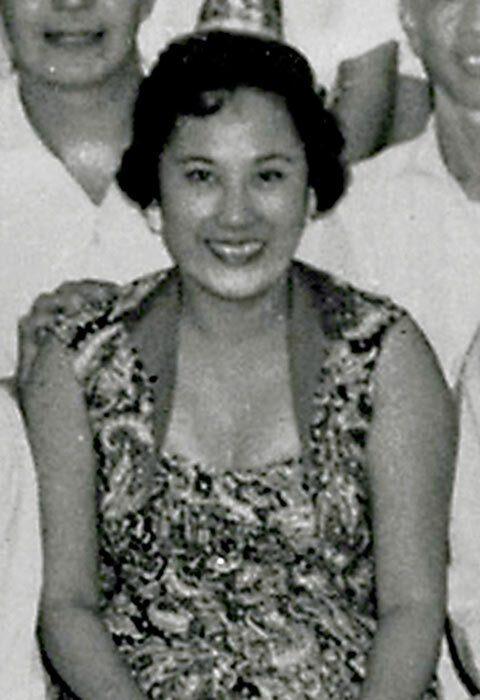 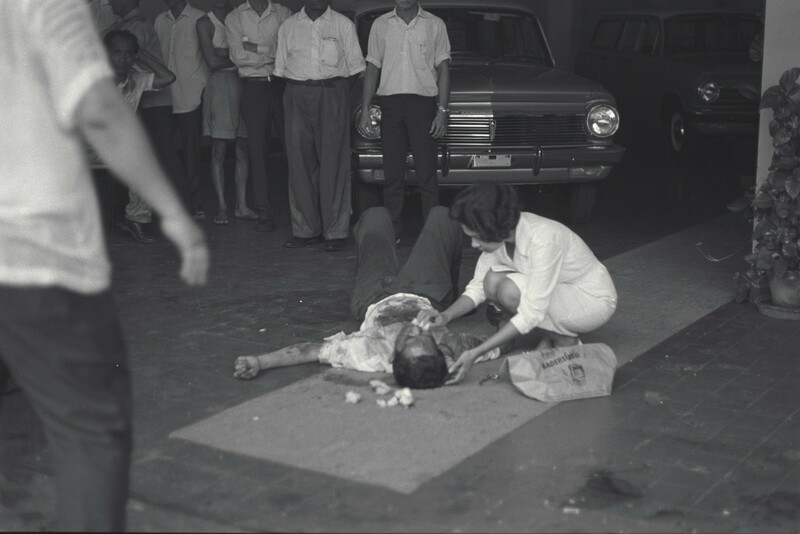 Mrs Elizabeth (Suzie) Choo, who was killed in the explosion, was a private secretary to the manager of Hongkong and Shanghai Bank. 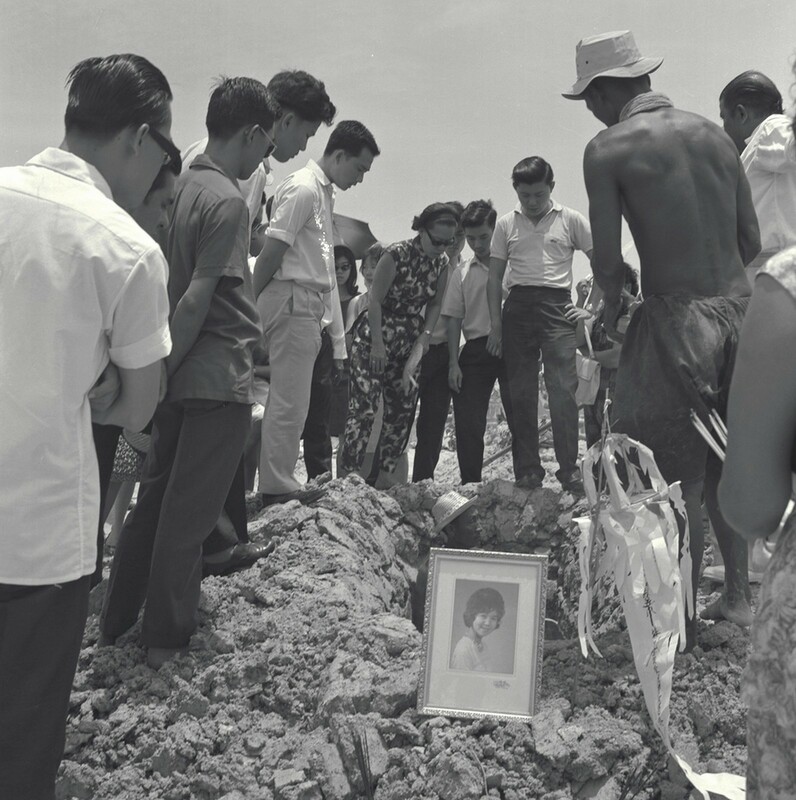 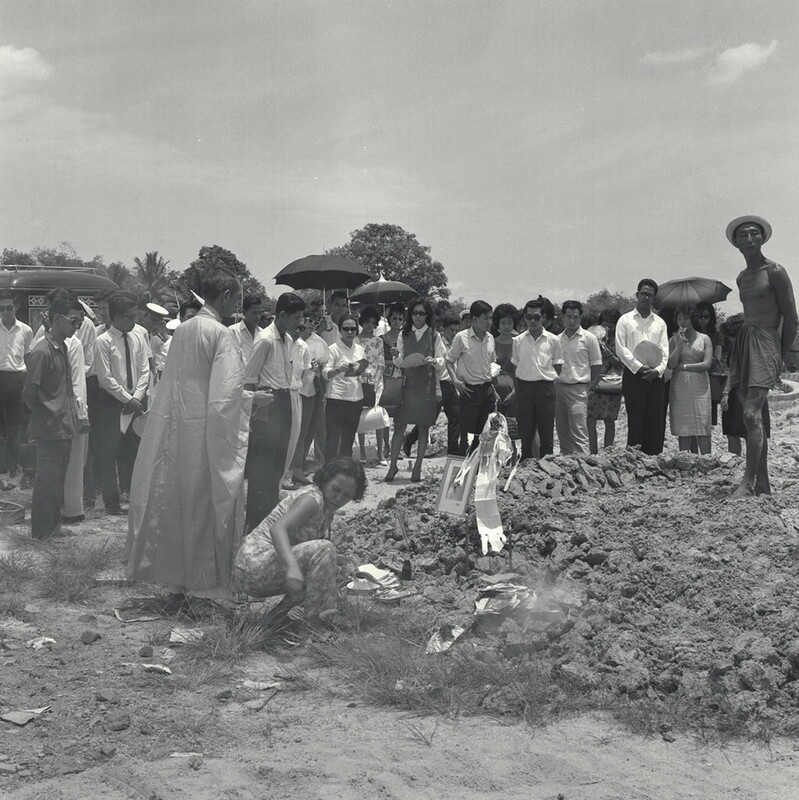 Children and relatives of Mrs Elizabeth (Suzie) Choo mourned her death at the funeral. 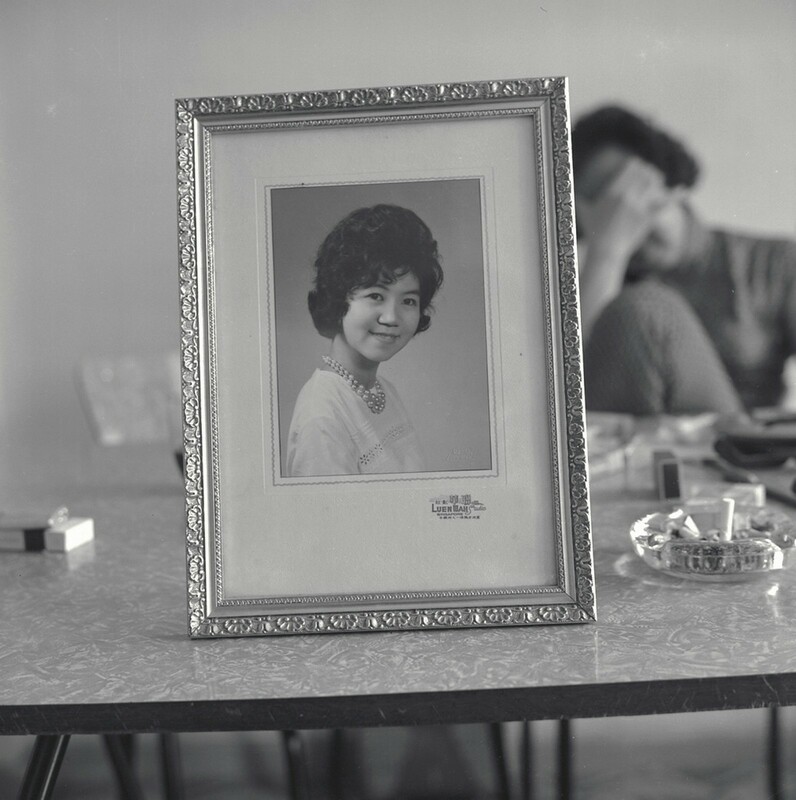 She left behind six children aged between 12 and 20. 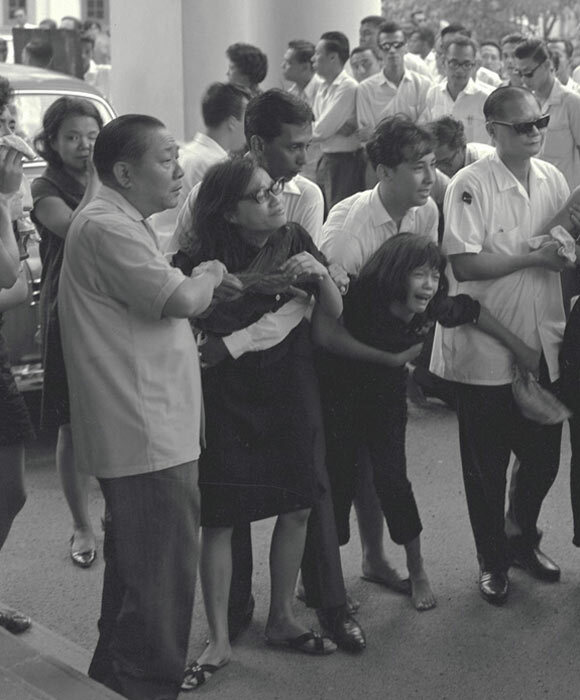 Children and relatives of Mrs Elizabeth (Suzie) Choo were distraught at her funeral. 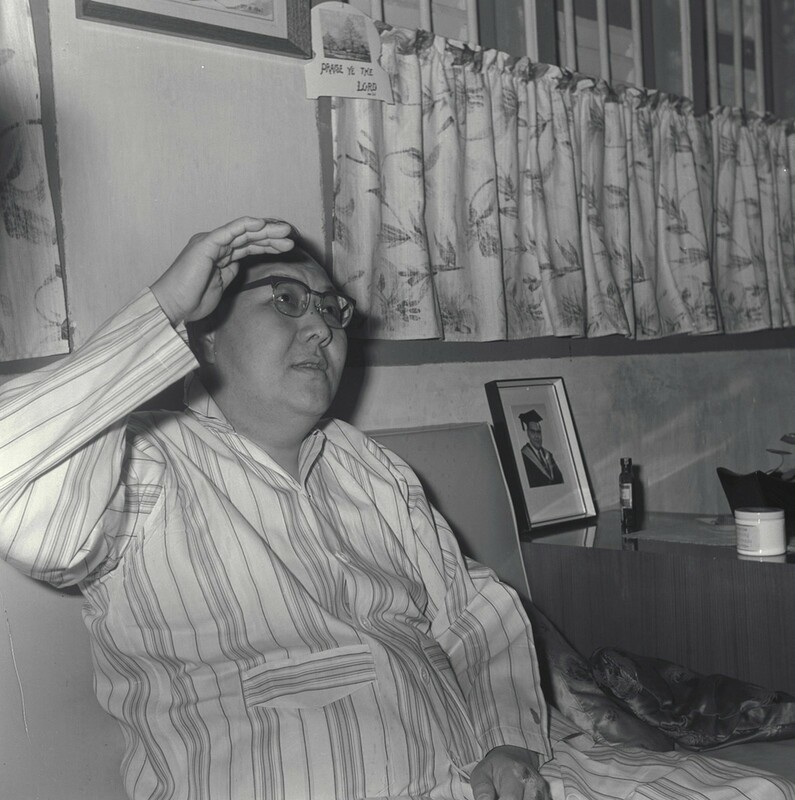 She left behind six children aged between 12 and 20. 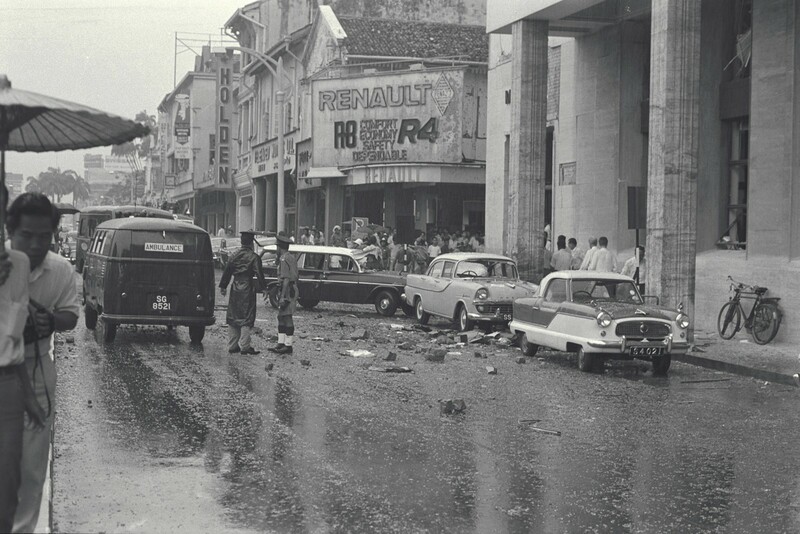 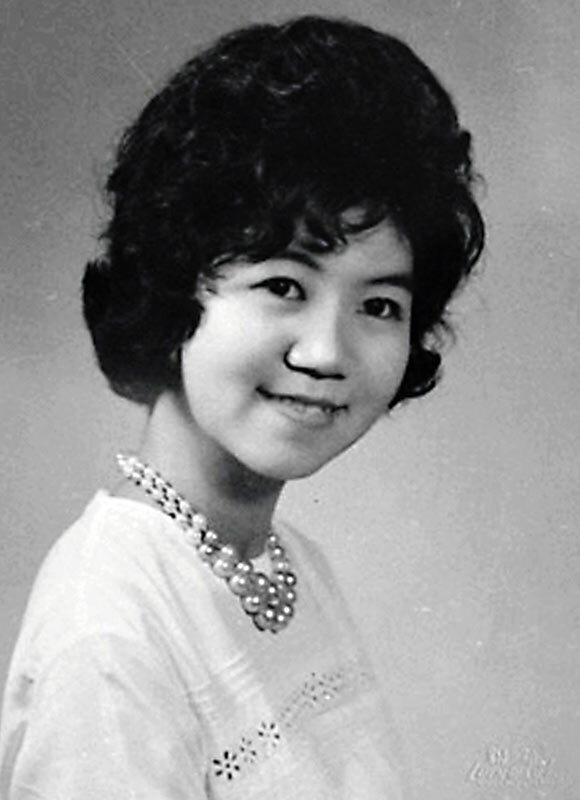 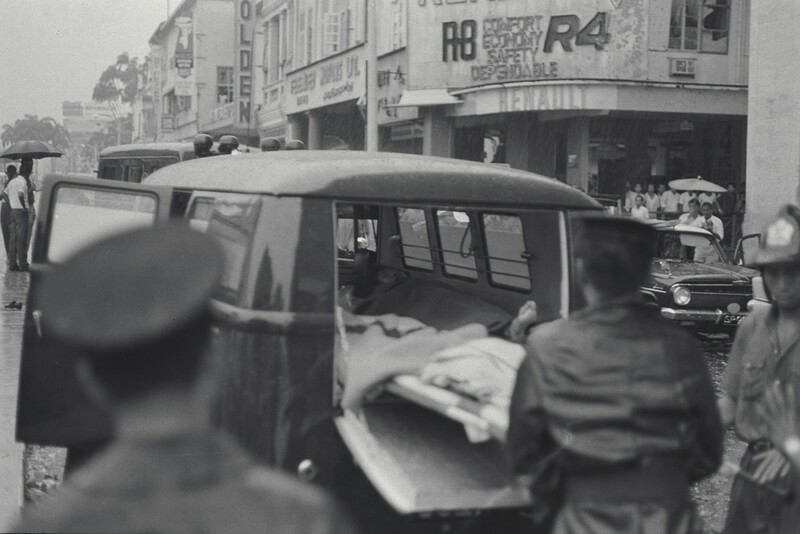 Bomb victim Miss Juliet Goh, 23, was working on the mezzanine floor when the blast took place. 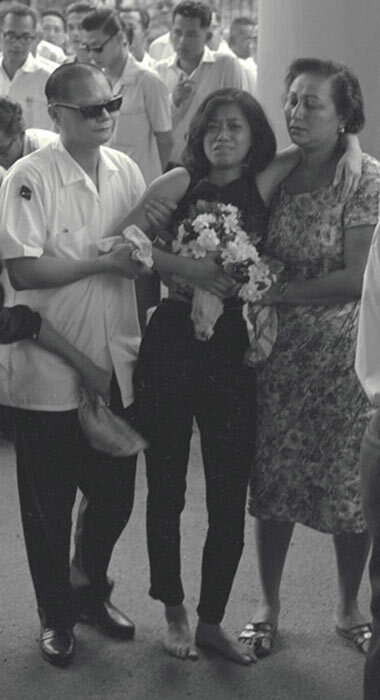 The only child was killed immediately. 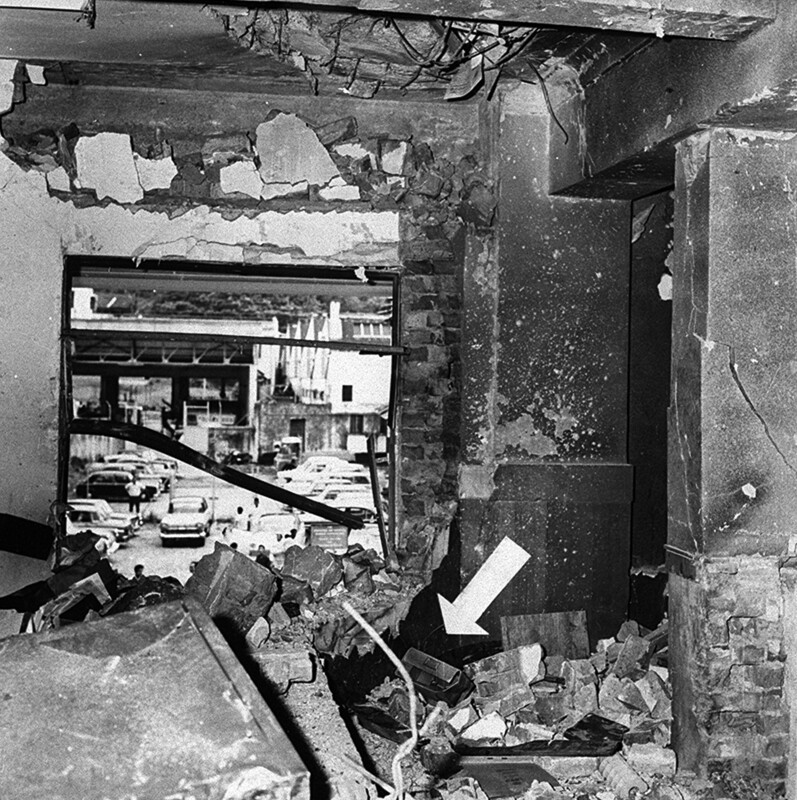 Car driver Mohammed Yasin bin Kesit, 45, was on a flight of stairs on the ground floor of MacDonald House when the bomb exploded. 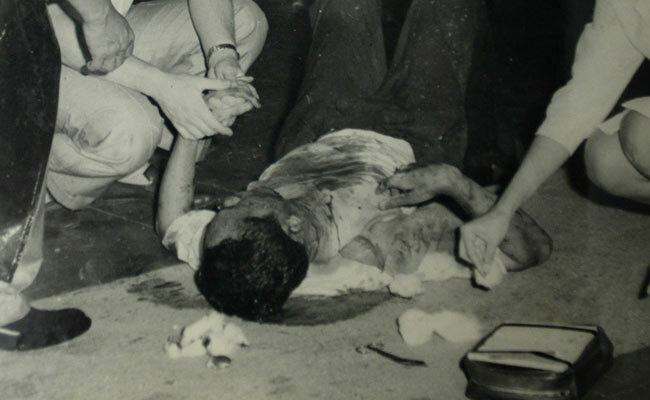 He fell into a coma and died two days later. 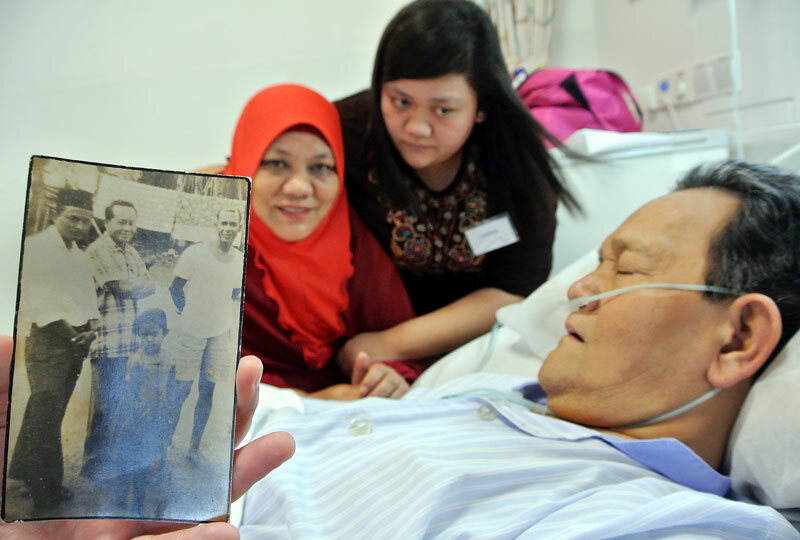 Rapii Mohammed Yasin shows a family photo of his father, Mr Mohammed Yasin bin Kesit, who died after the explosion. 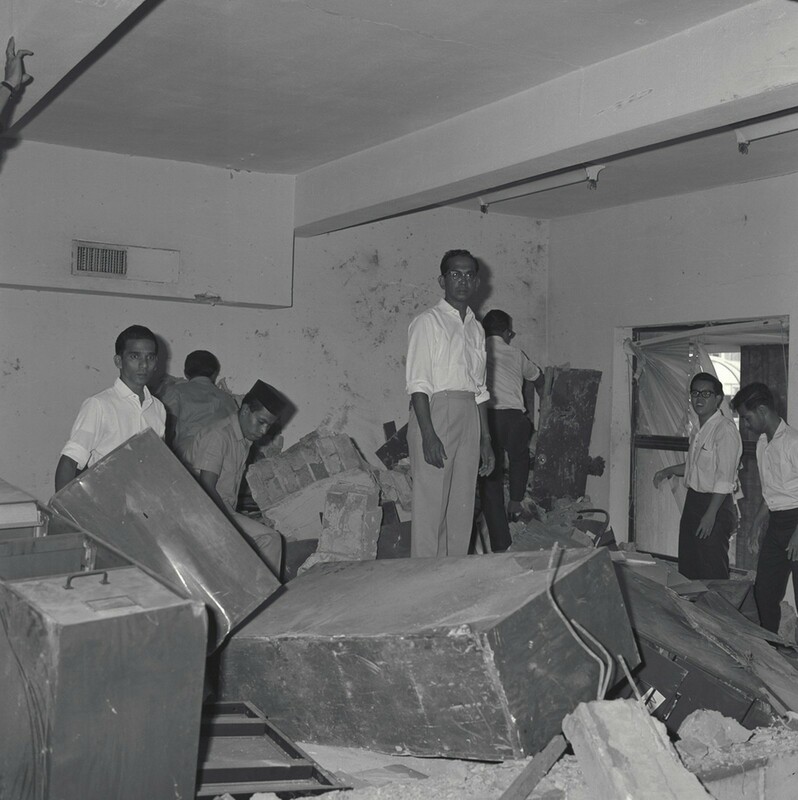 Rapii Mohammed Yasin shows a family photo of his father, Mr Mohammed Yasin bin Kesit, who died after two days after the explosion. 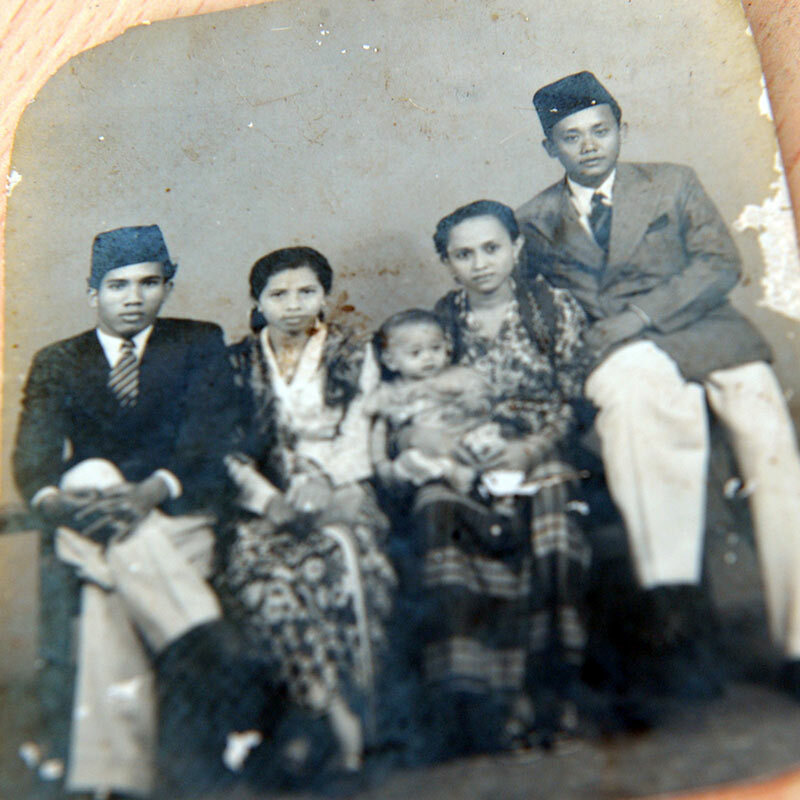 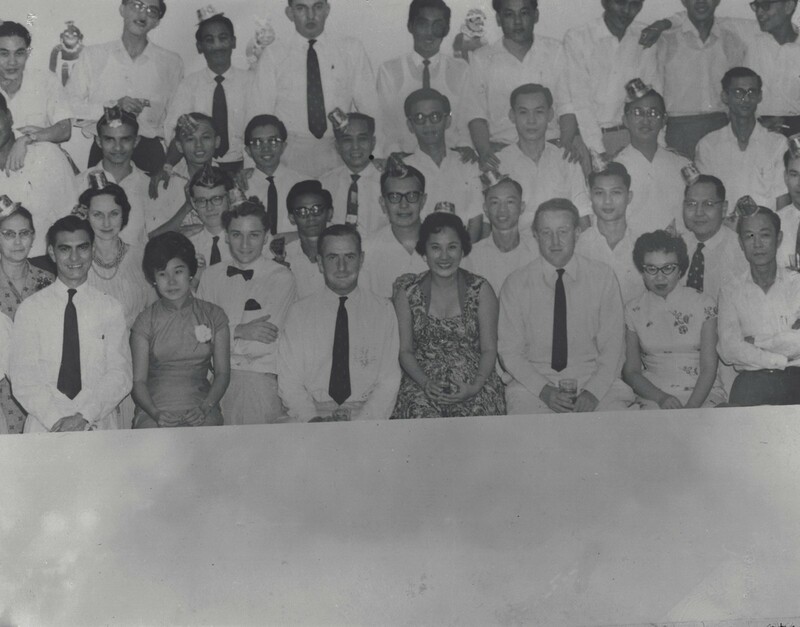 A famiily photo shows bomb victim Mohammed Yasin bin Kesit on the right. 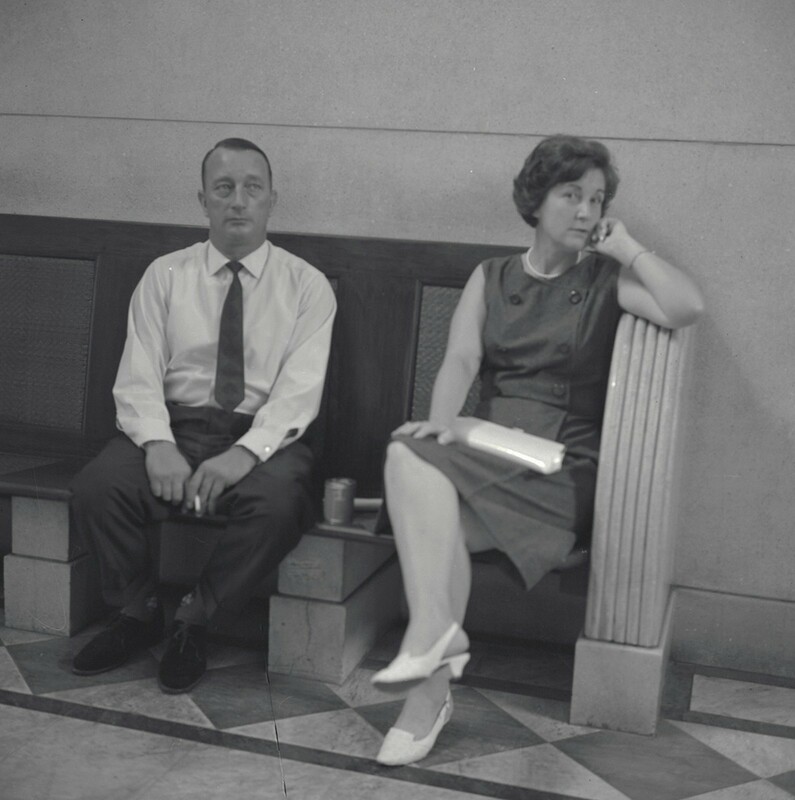 Next to him is his wife. 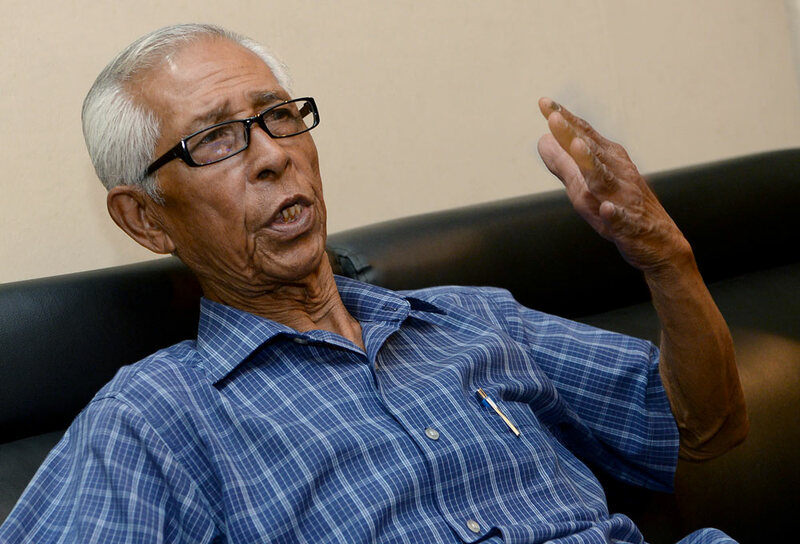 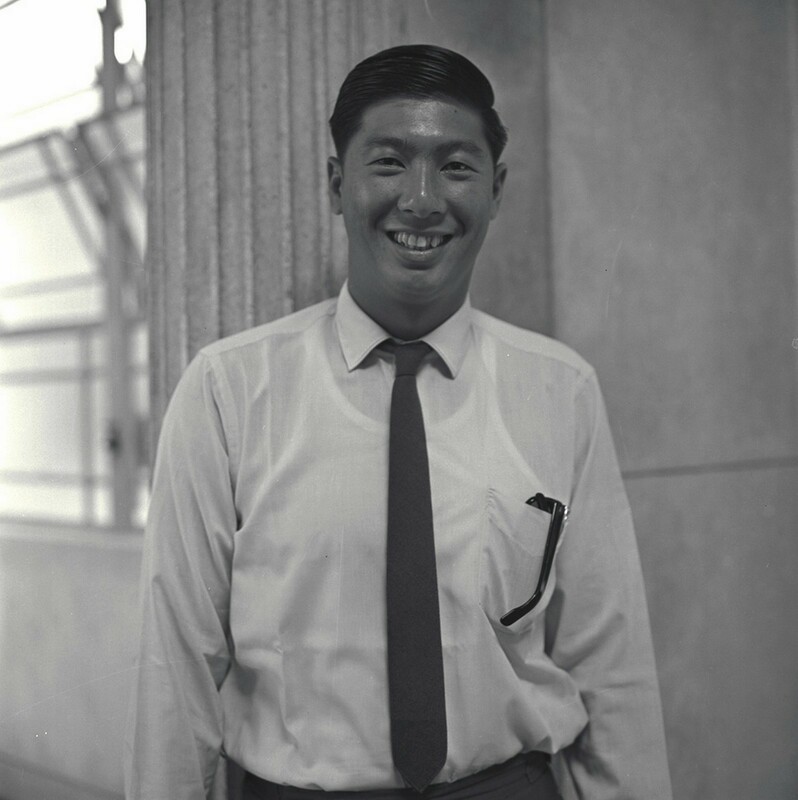 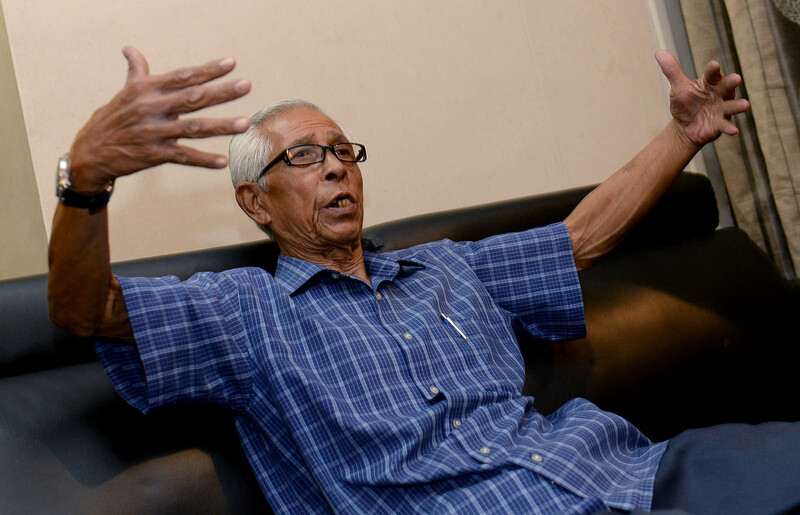 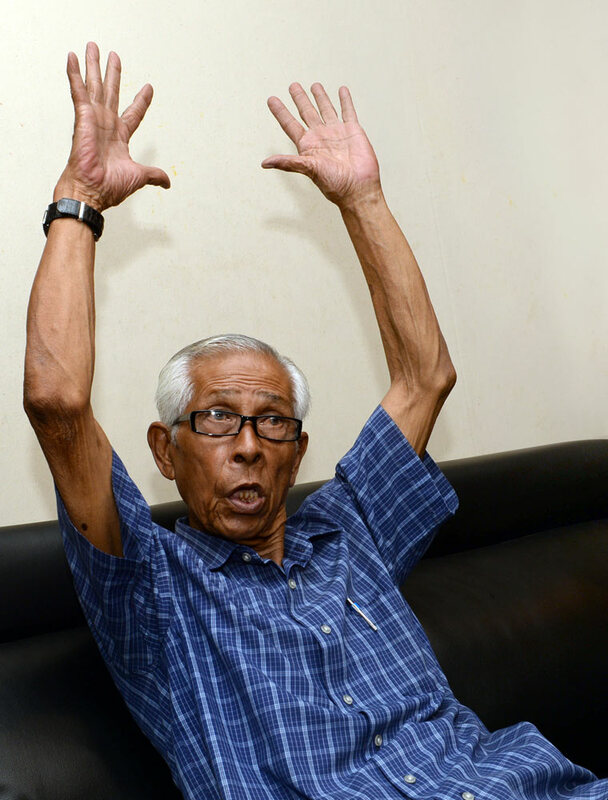 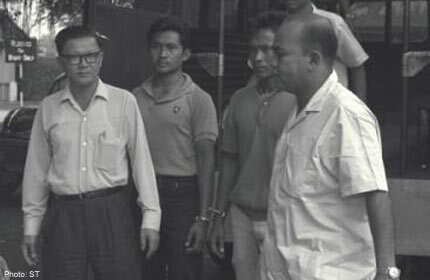 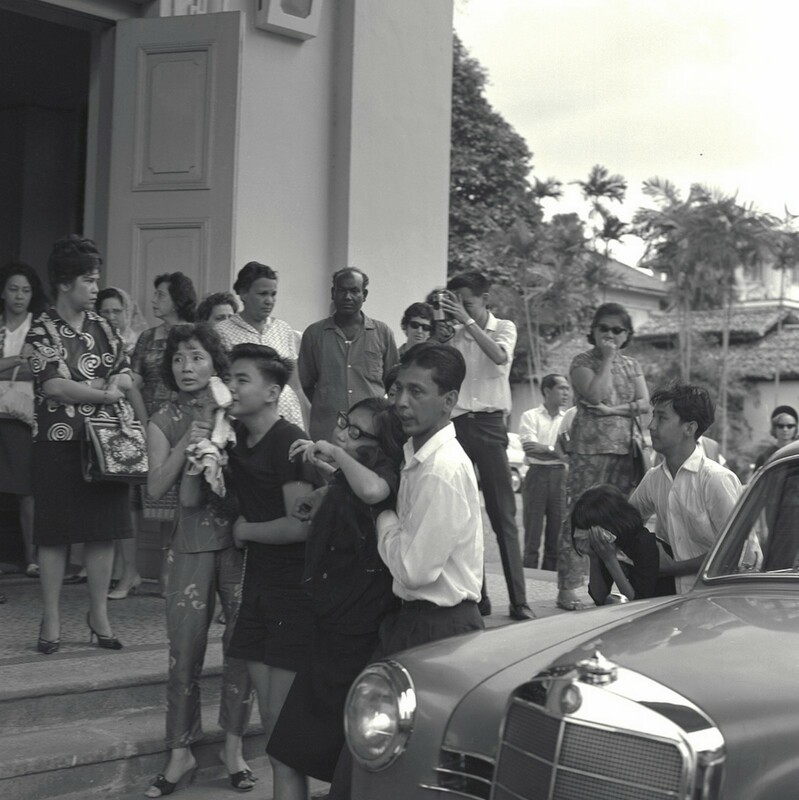 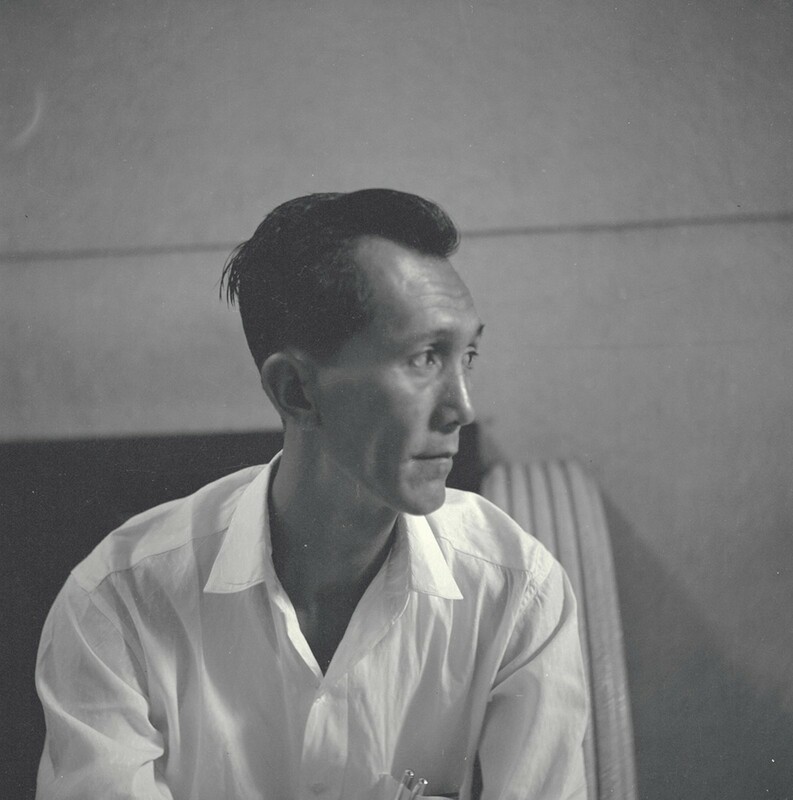 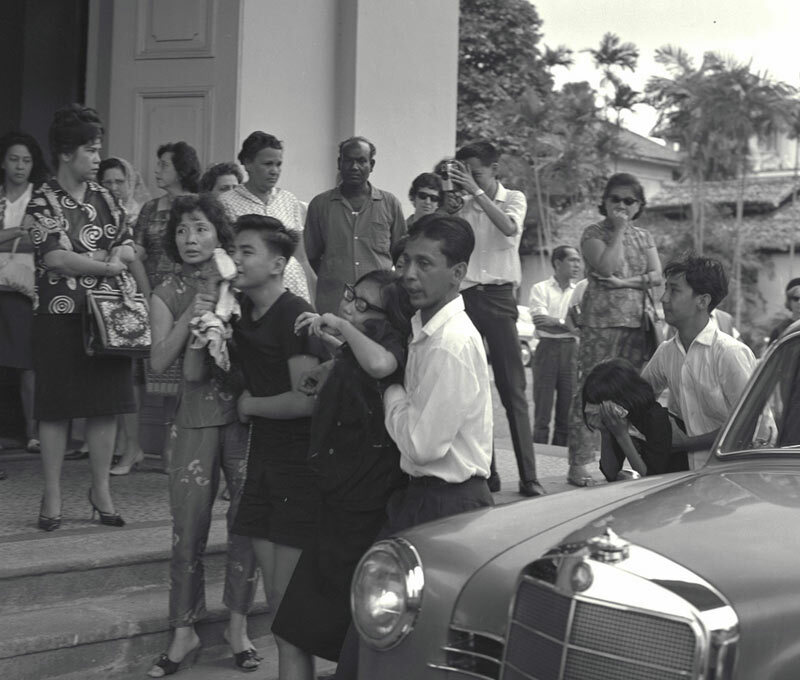 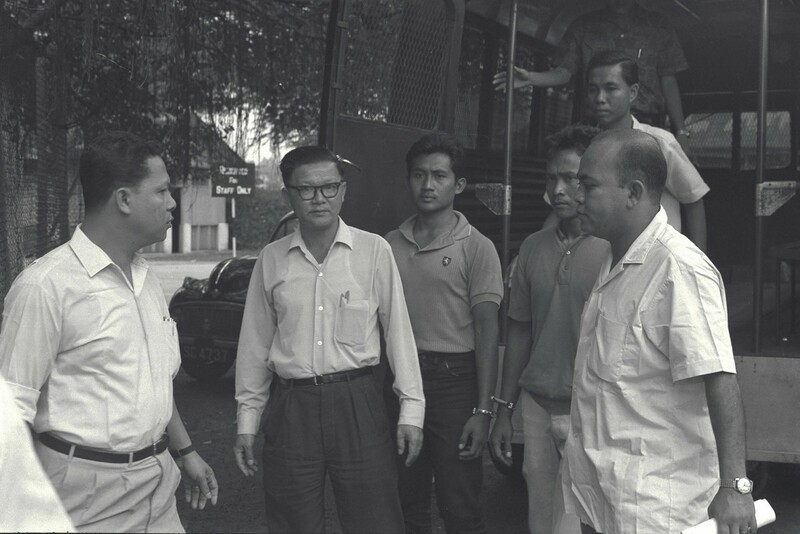 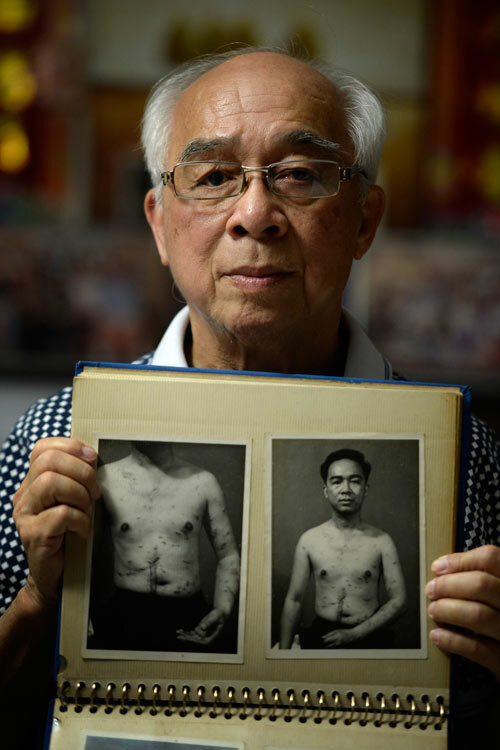 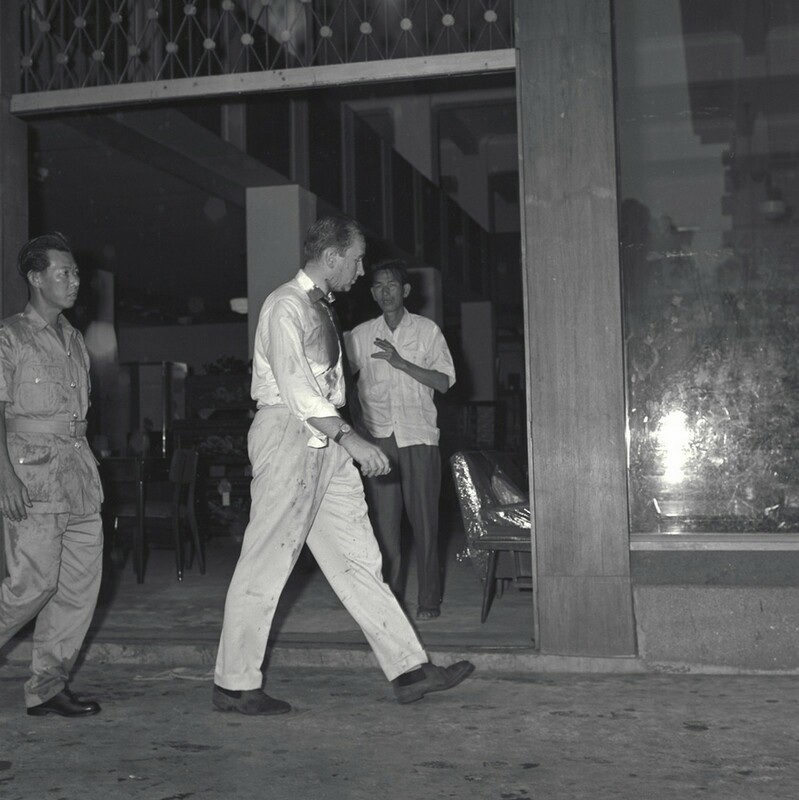 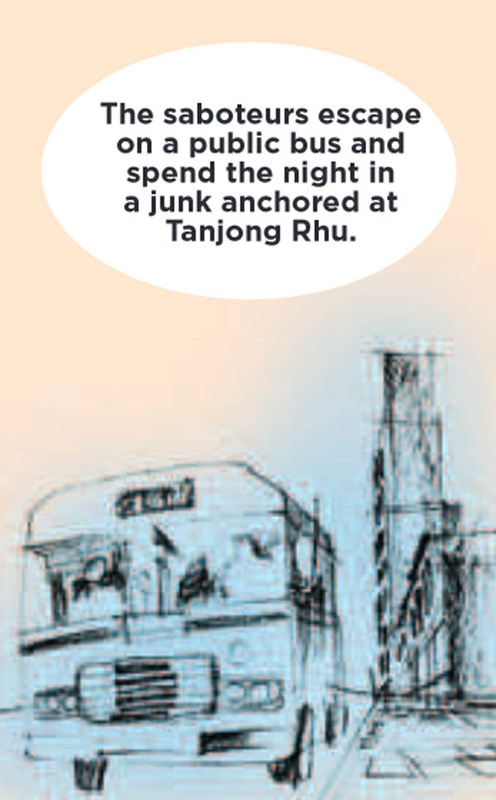 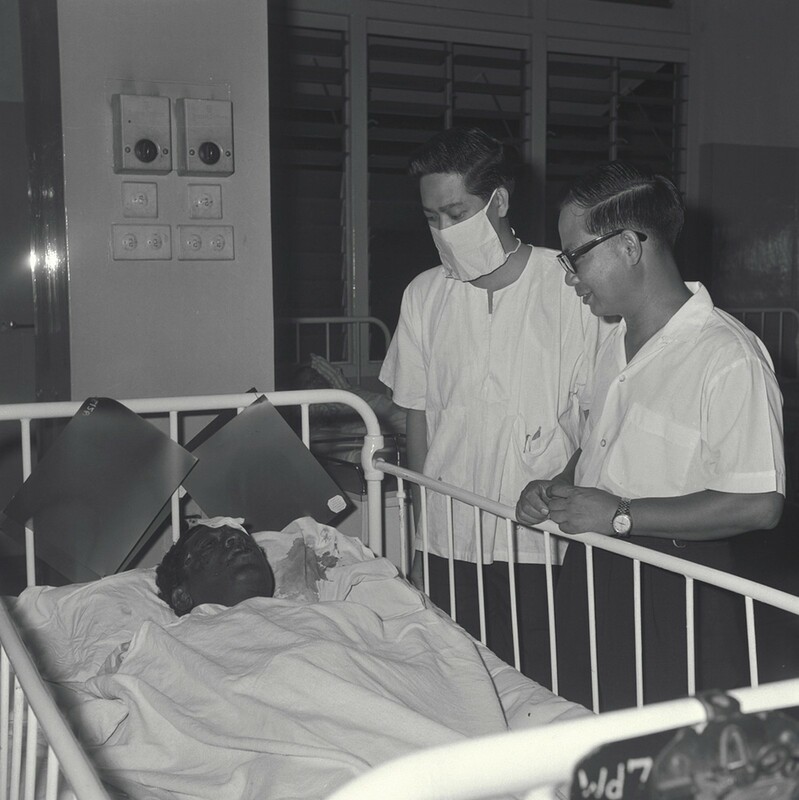 Reverend Yeo Suan Kim remembers the day 49 years ago when he lost his right eye. 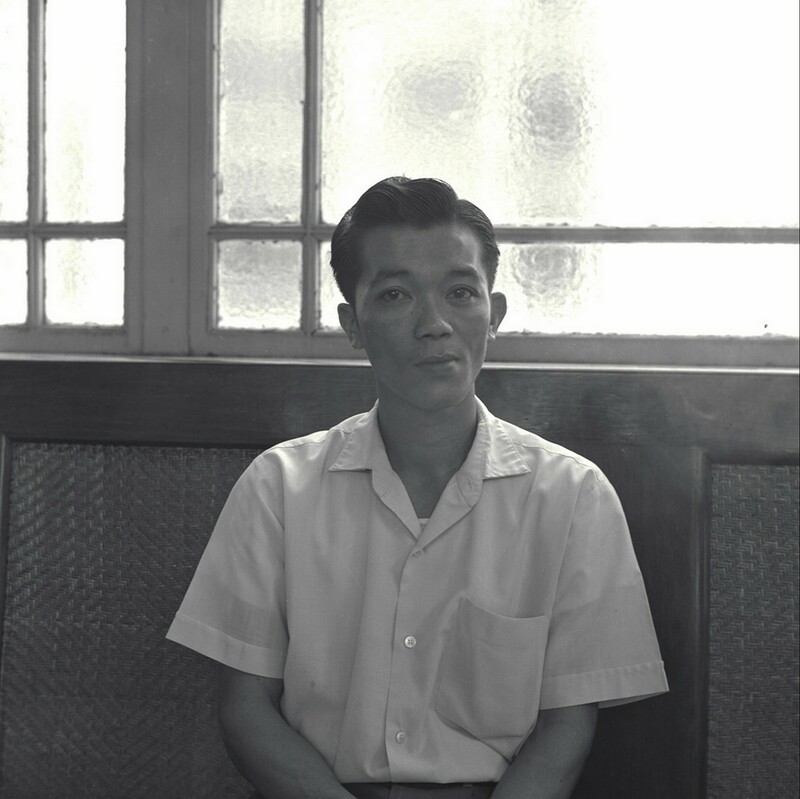 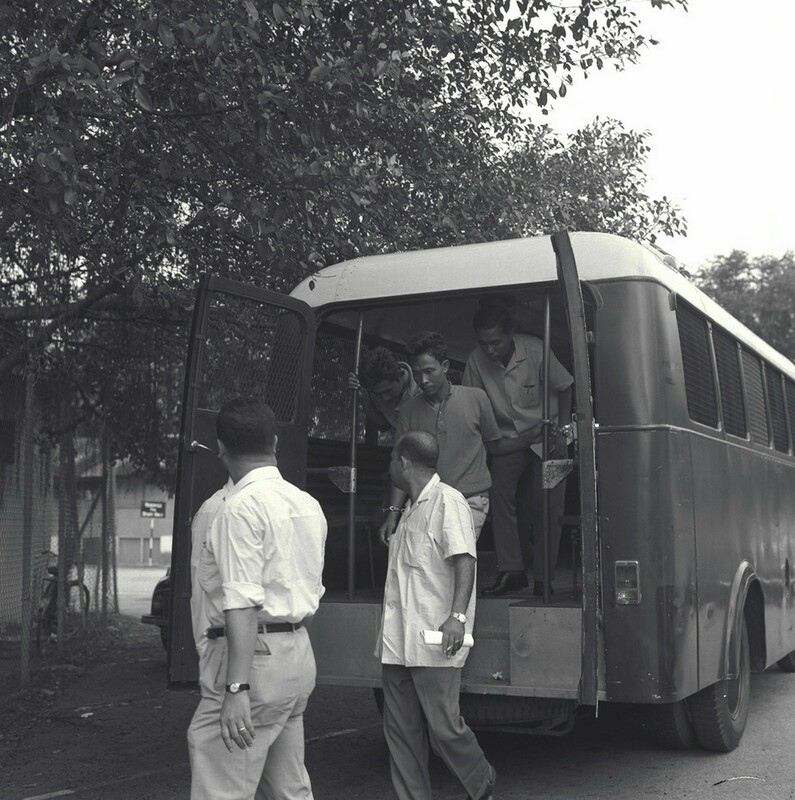 He was 23 years old then and was on his way to a bus stop in Orchard Road after attending his theological college on Mount Sophia. 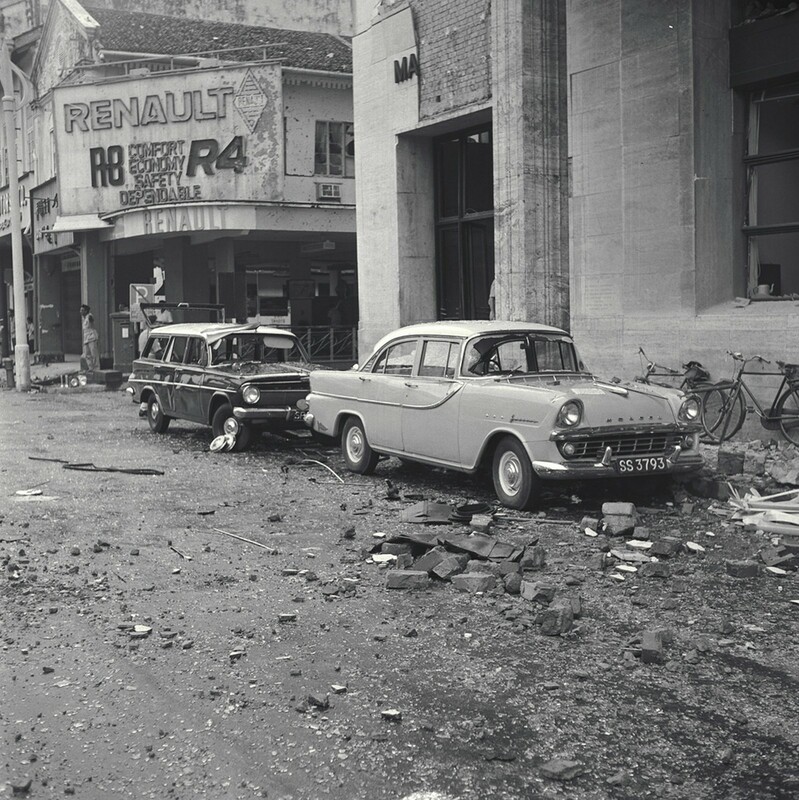 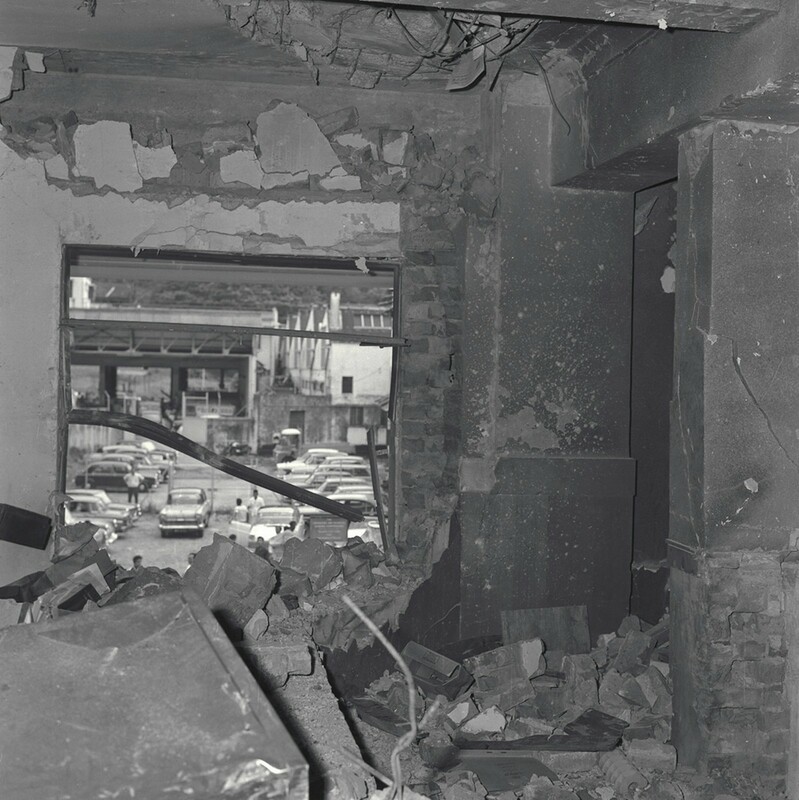 He stopped for a drink from a stall steps away from MacDonald House and just as he walked past the building, there was a blast that flung him across the road. 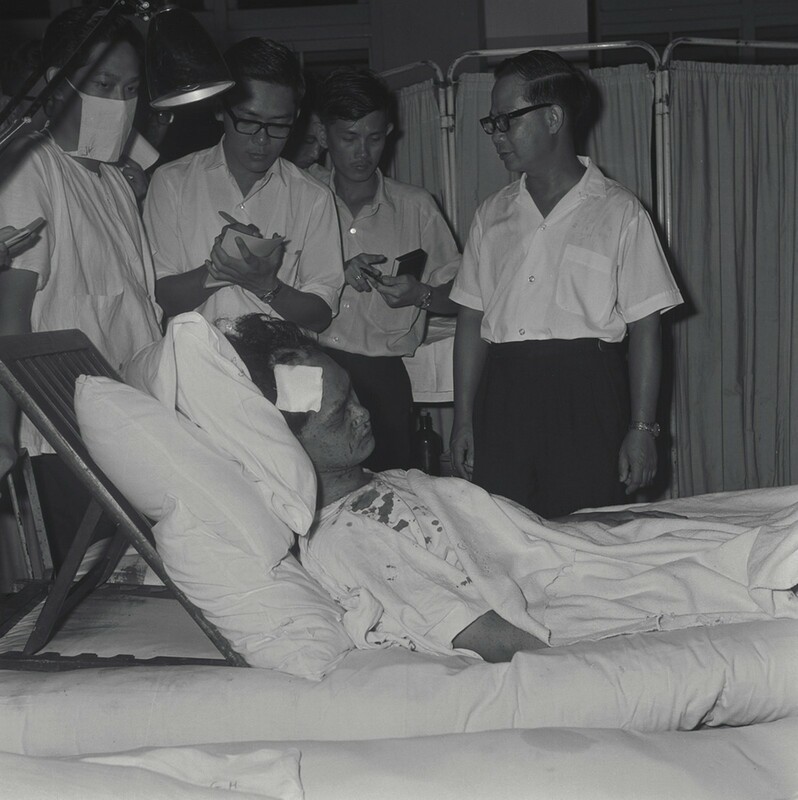 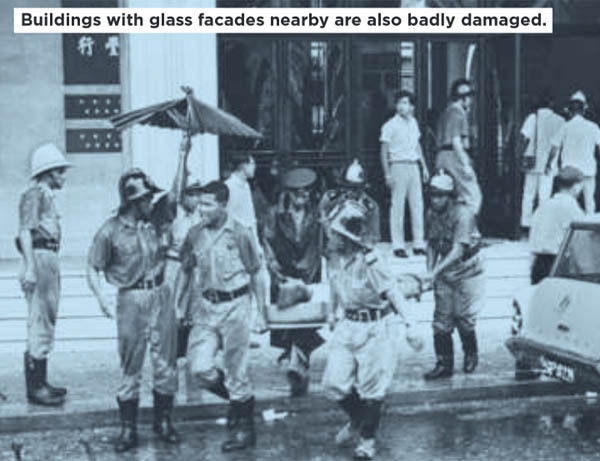 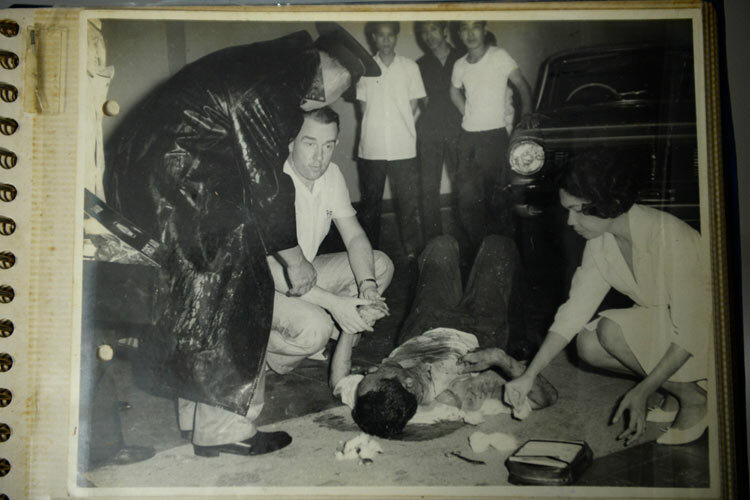 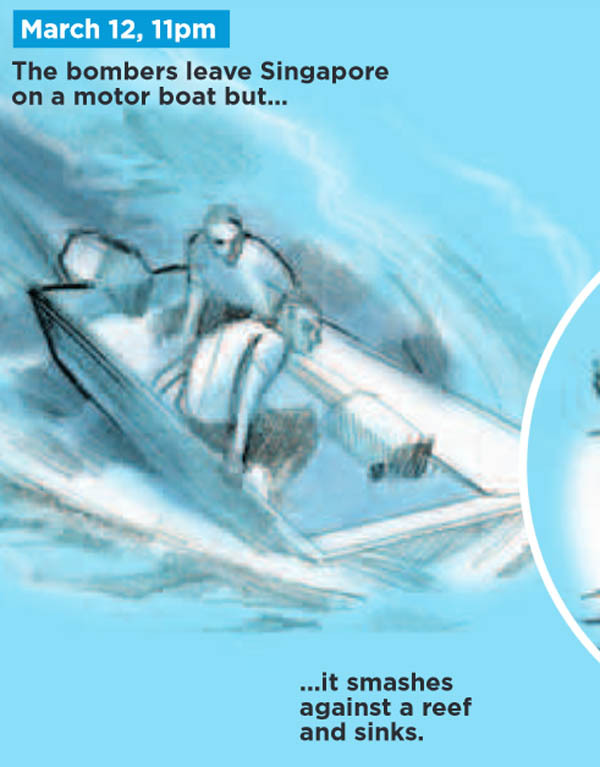 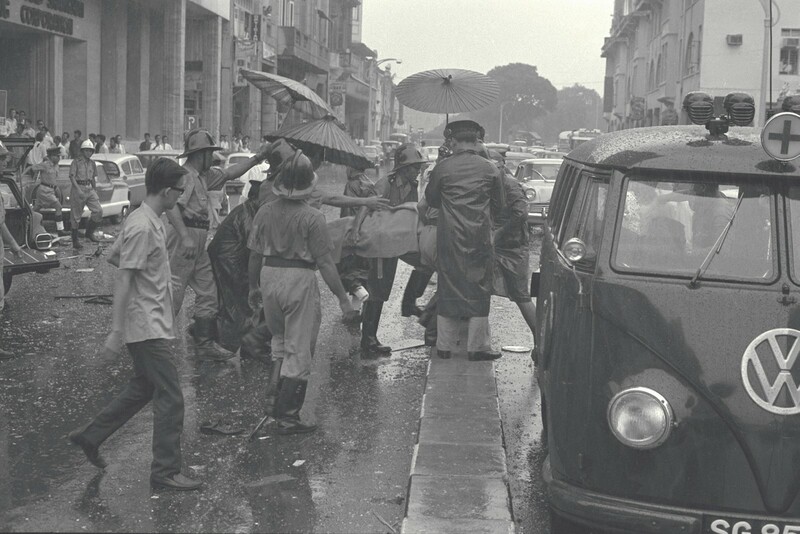 "I screamed for help and prayed for someone to rescue me," recalled Rev Yeo, whose right eye was shattered by the blast. 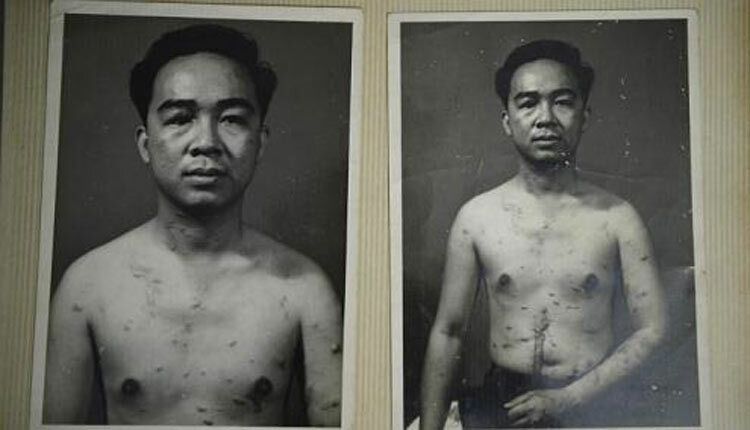 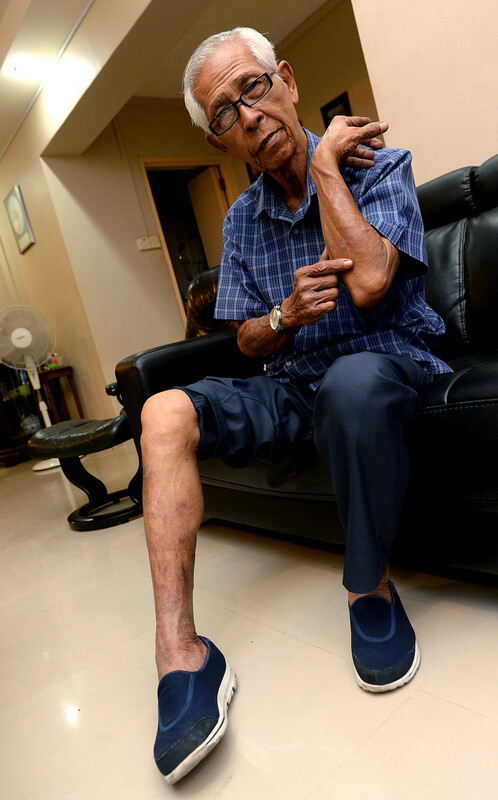 The retired pastor recalled his pain and suffering as he was pierced all over his body by glass fragments. 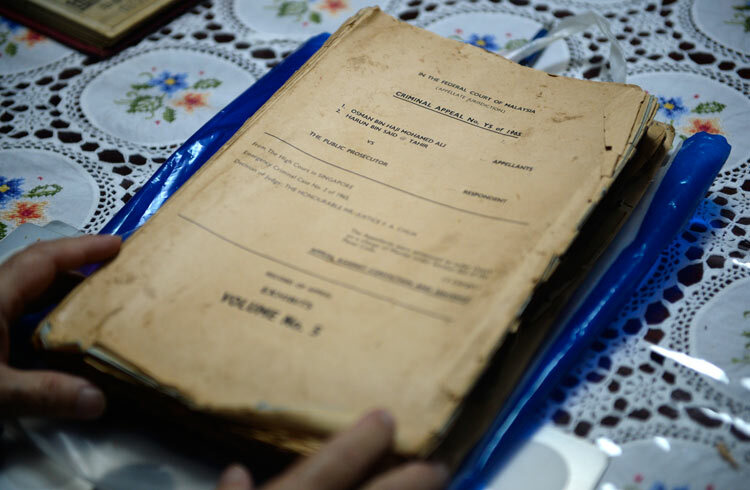 Court documents on the Indonesian bombers of the MacDonald House. 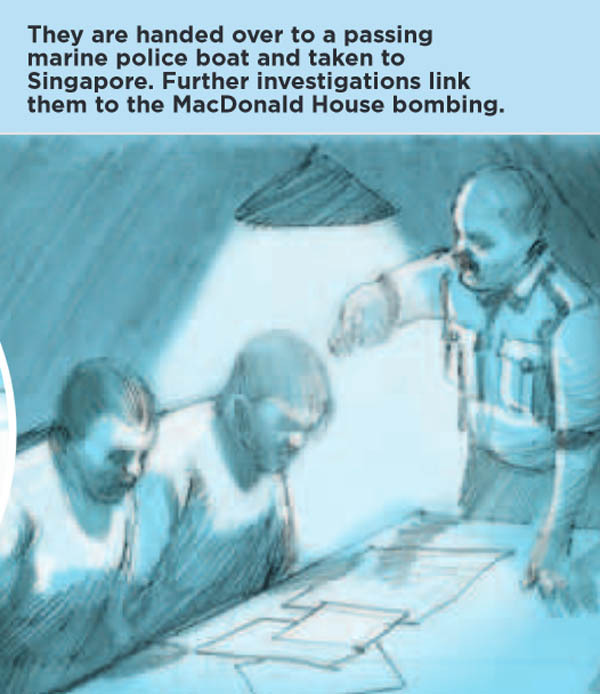 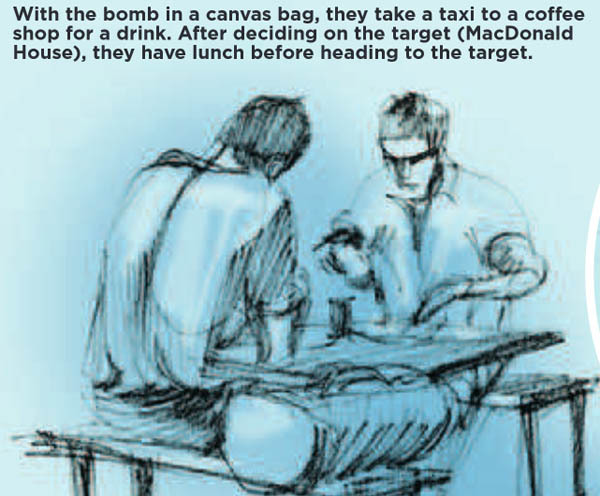 Court document shows the names of the two Indonesian bombers of the MacDonald House. 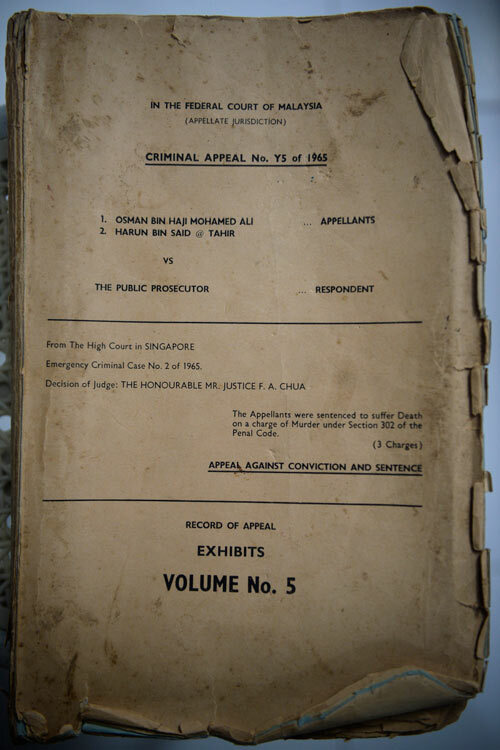 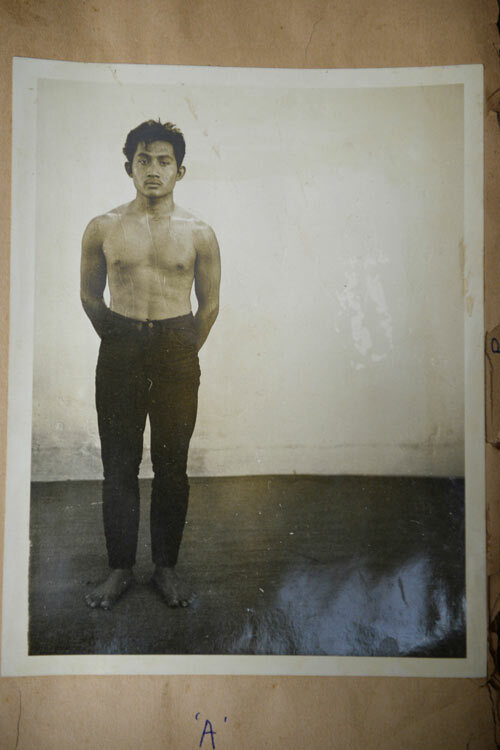 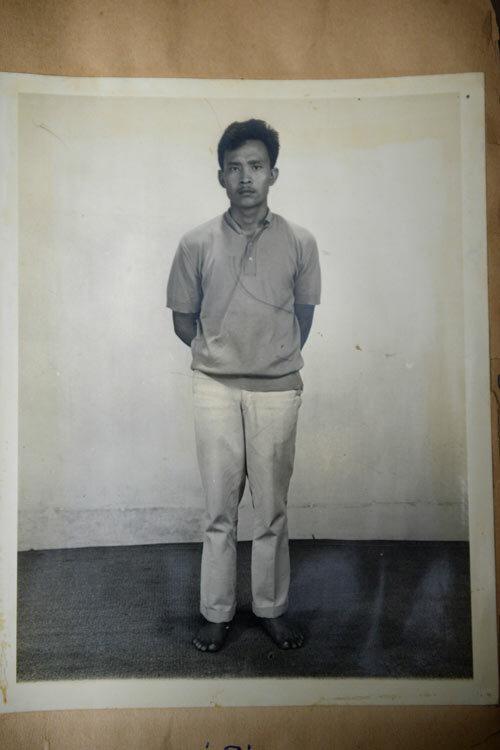 Harun bin Said alias Tahir, 26, (in the photo) and Osman bin Haji Mohammed Ali, 22, were subsequently hanged for the death of three persons and injuring many others. 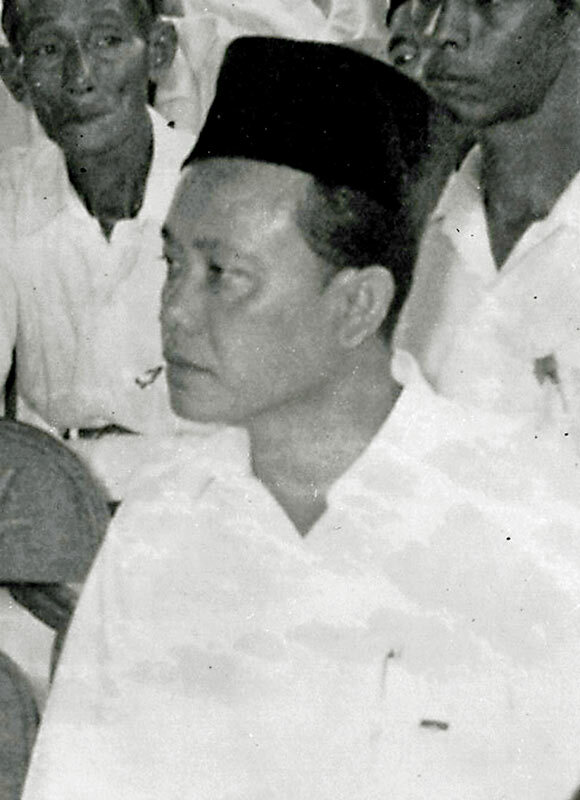 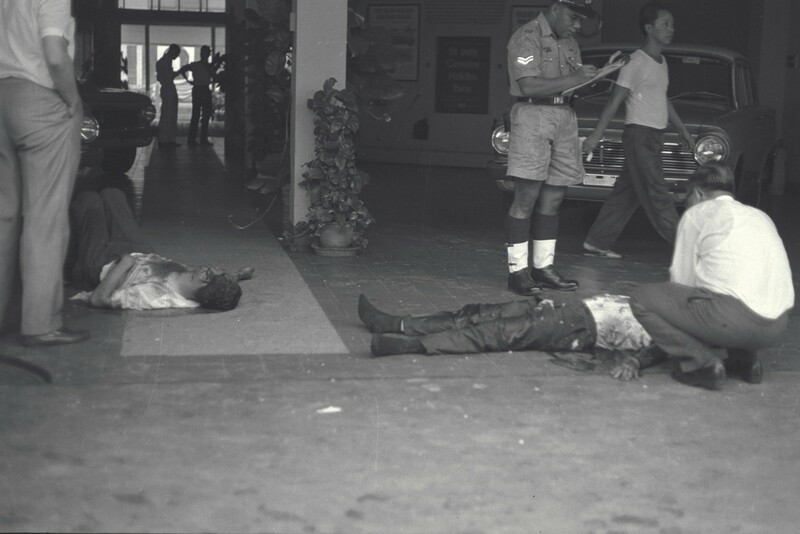 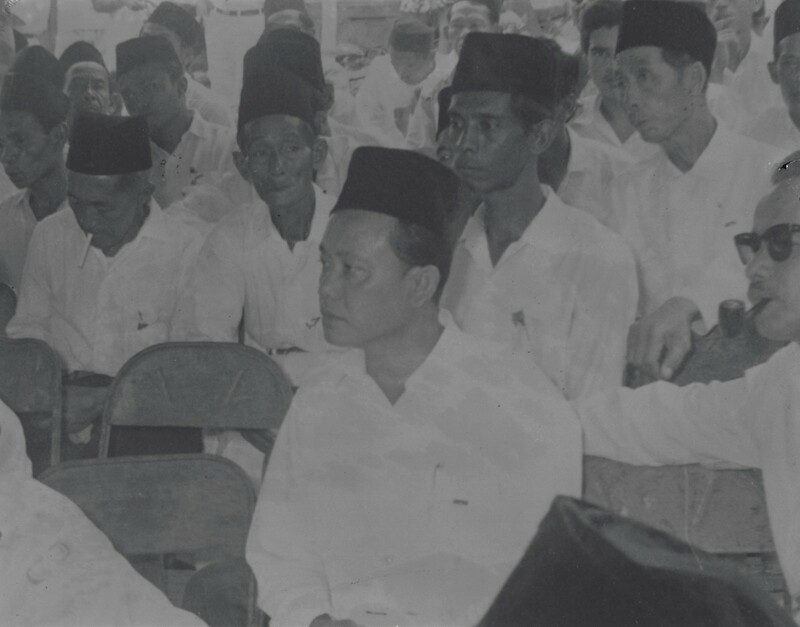 Osman Haji Mohamed Ali (in the photo) and fellow Indonesian marine Harun bin Said were hanged for their act.